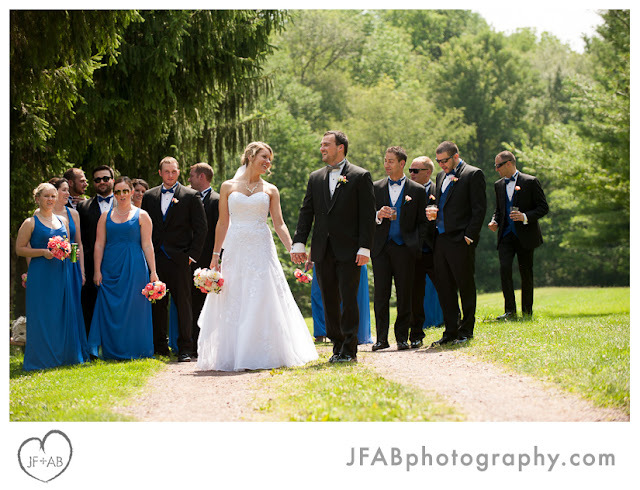 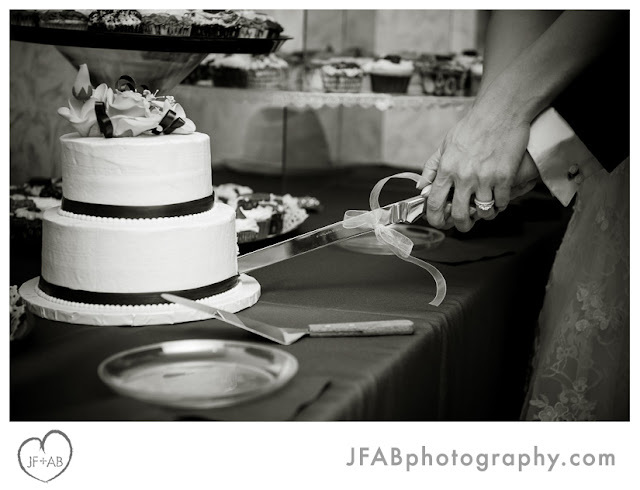 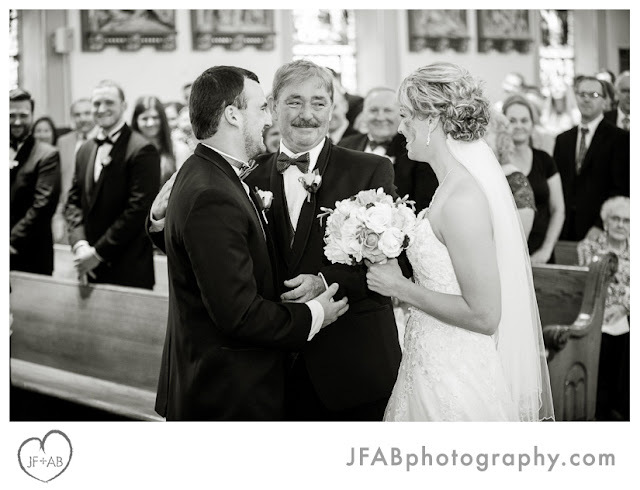 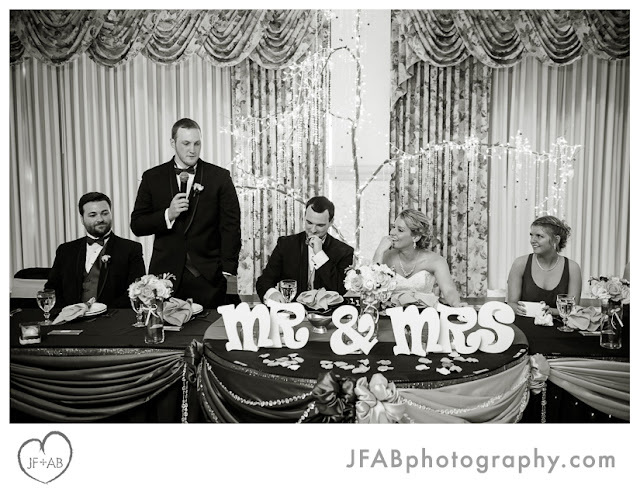 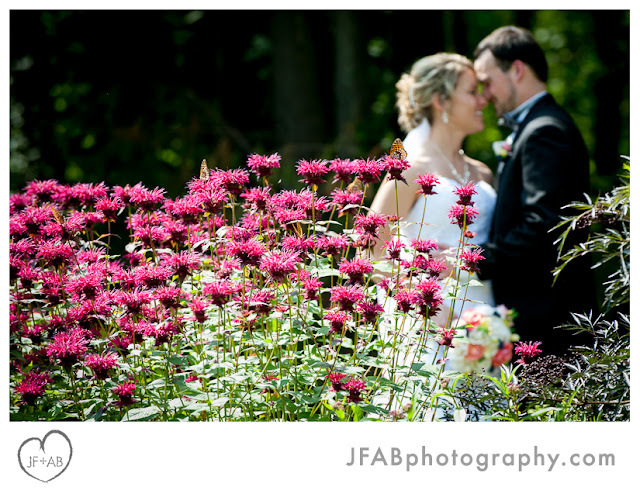 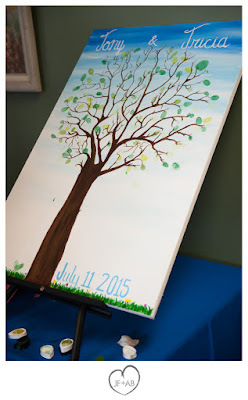 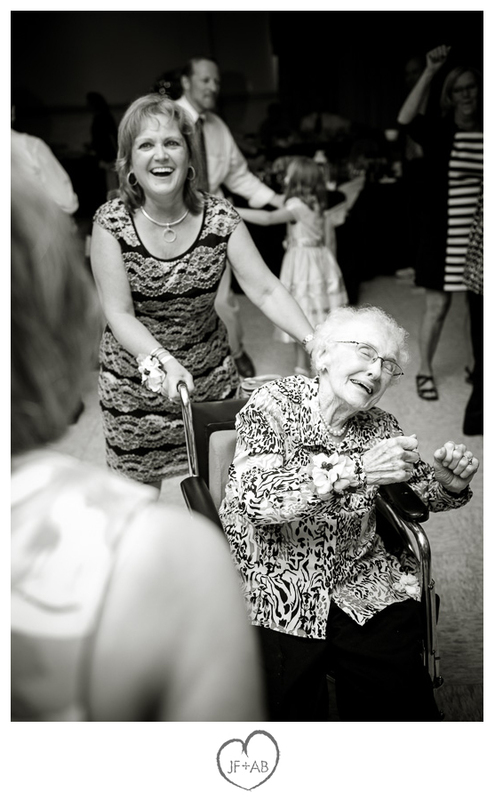 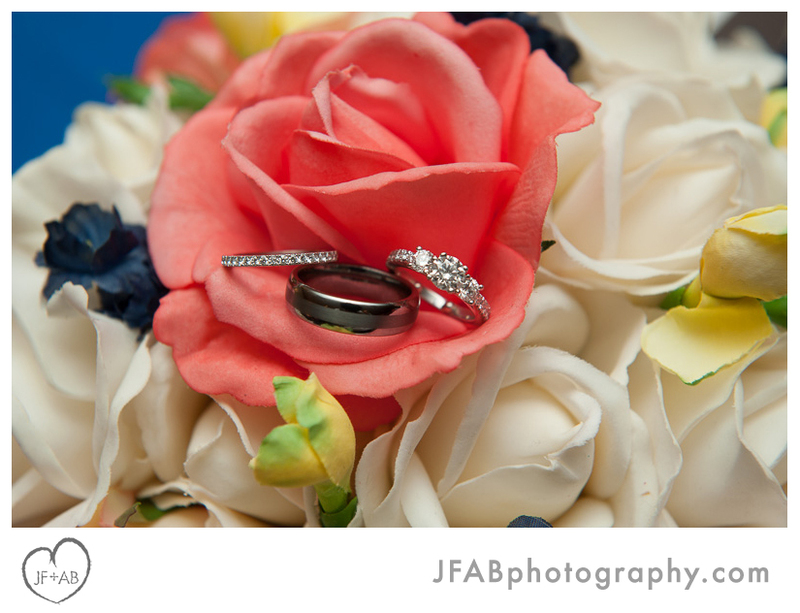 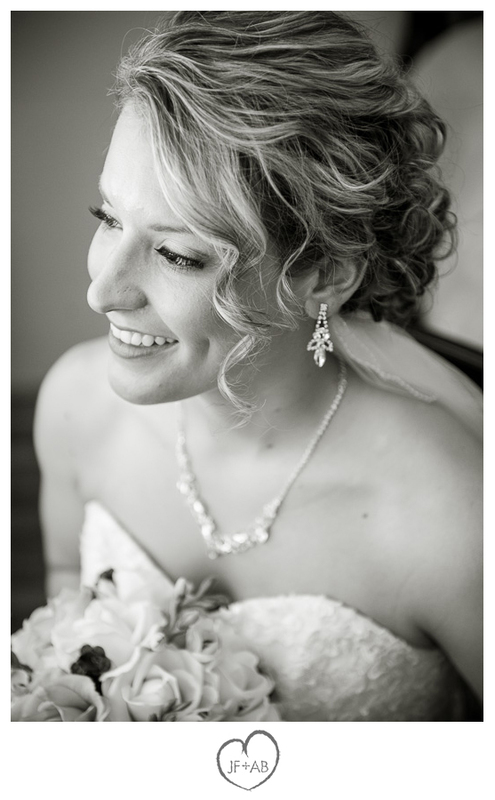 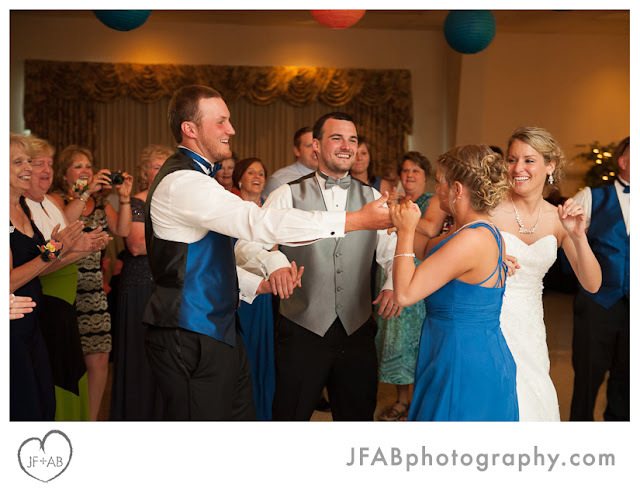 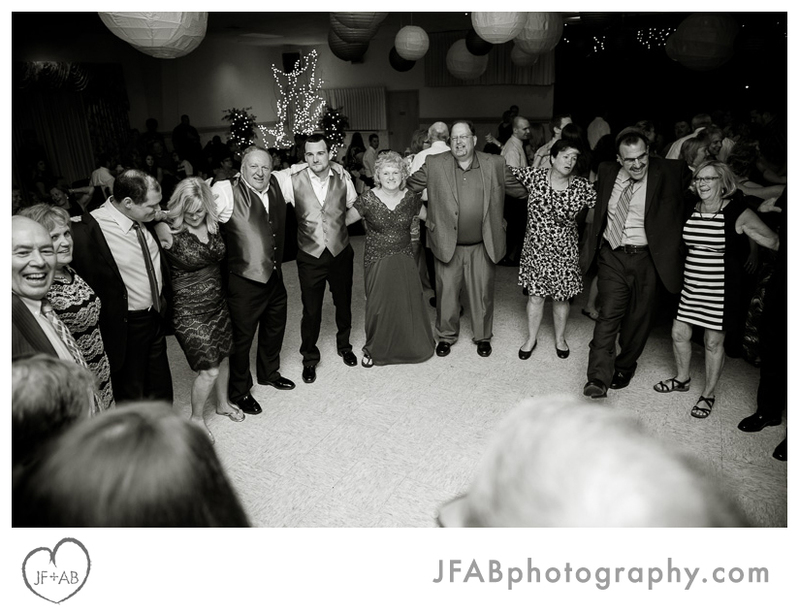 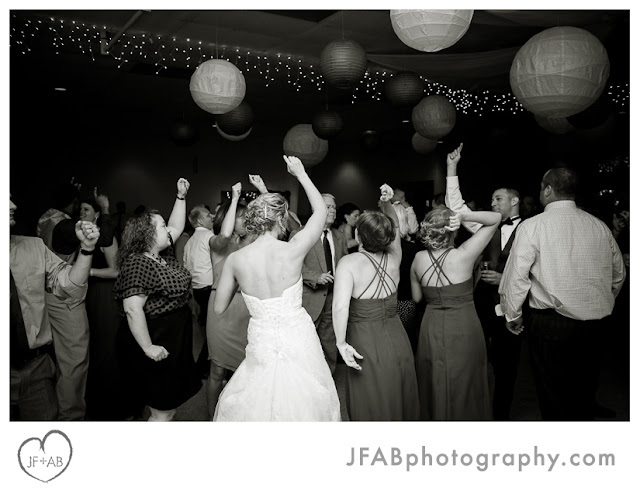 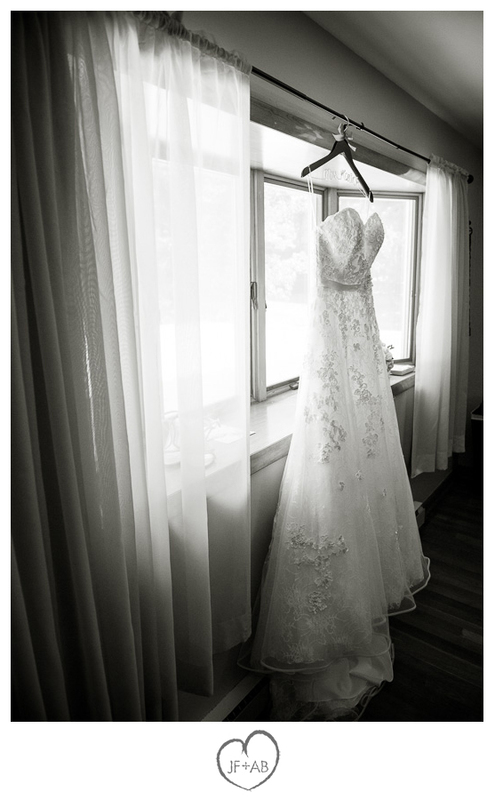 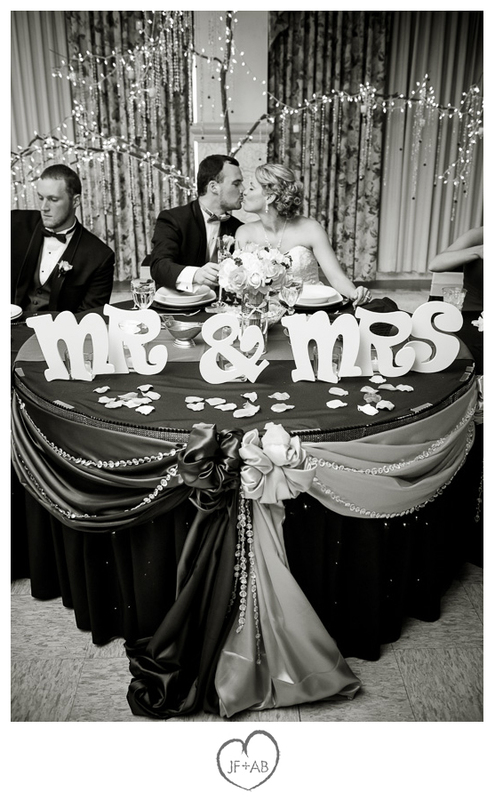 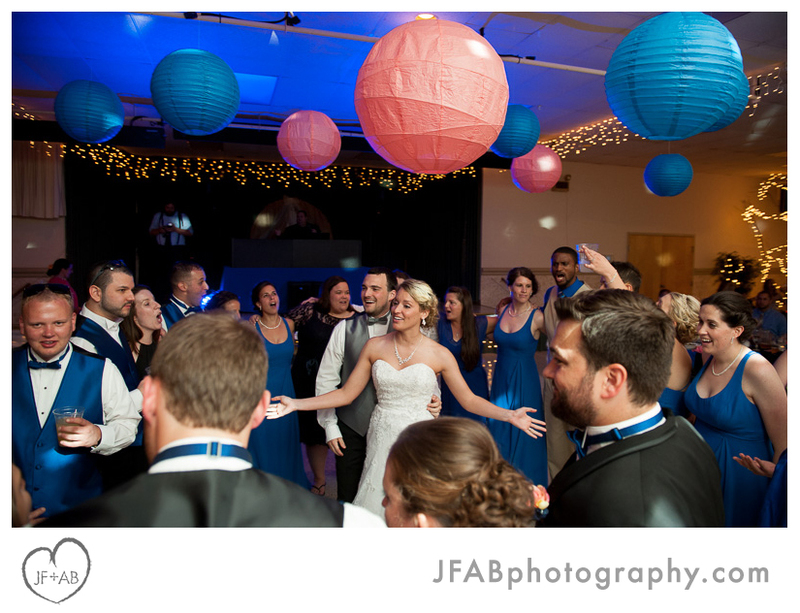 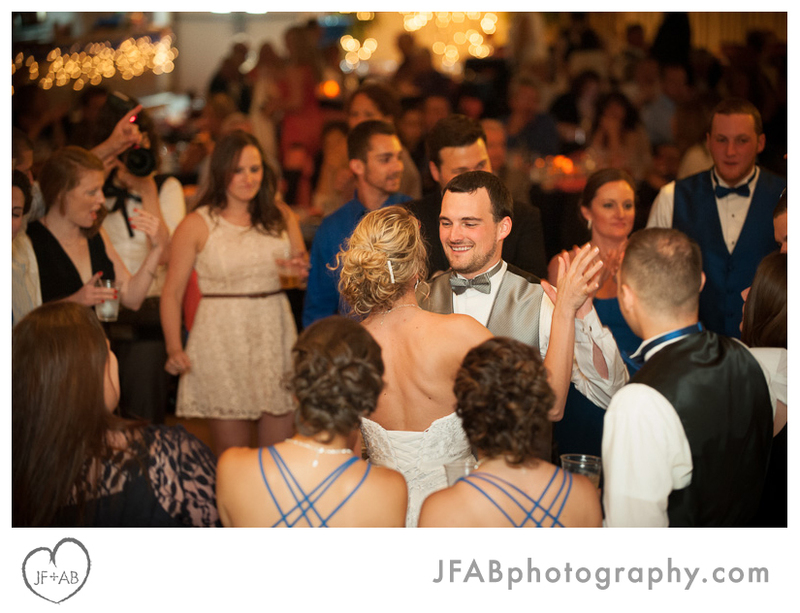 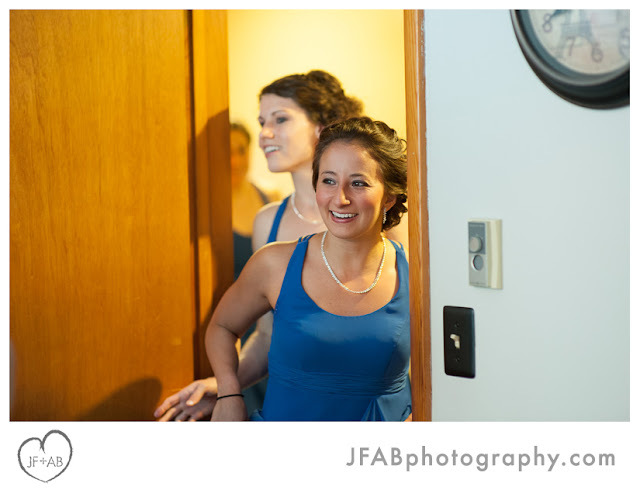 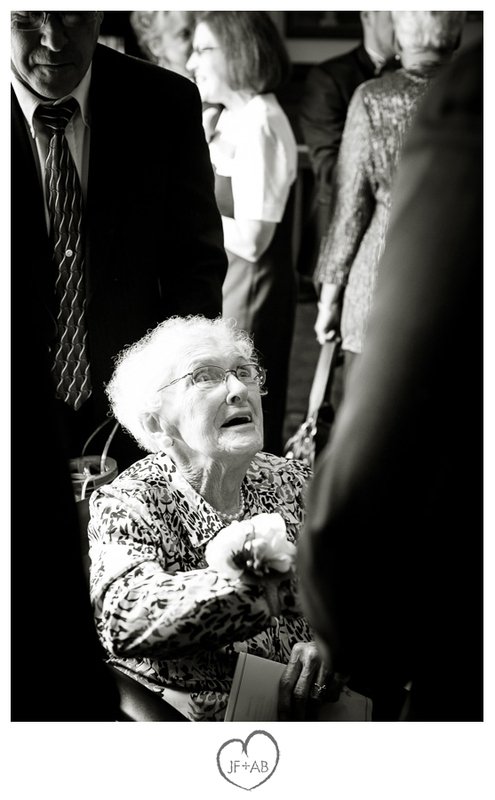 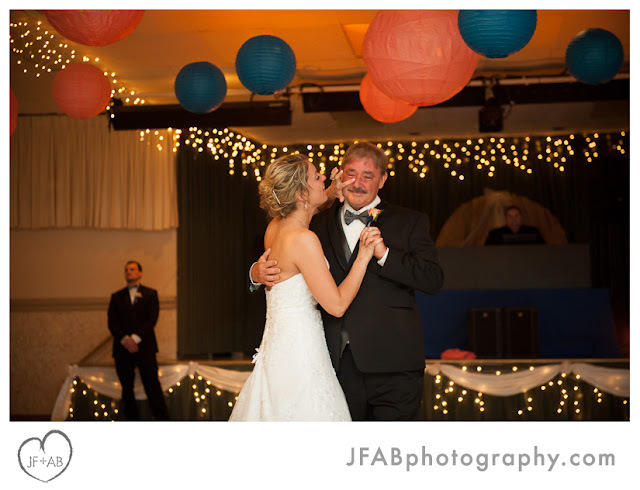 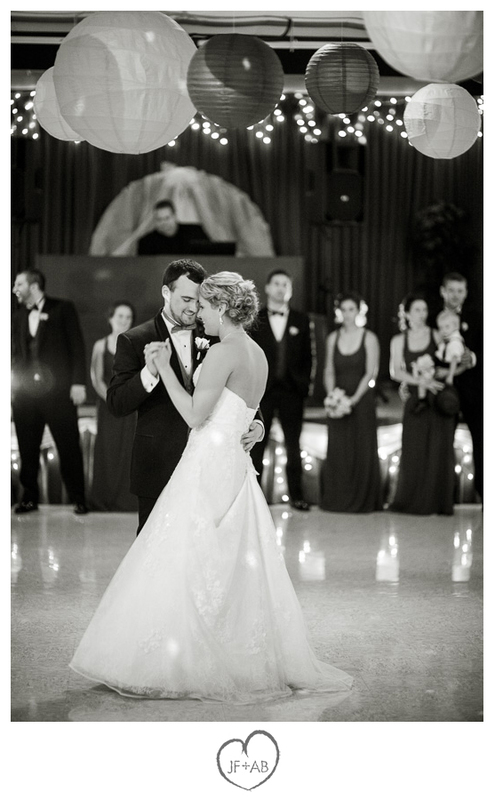 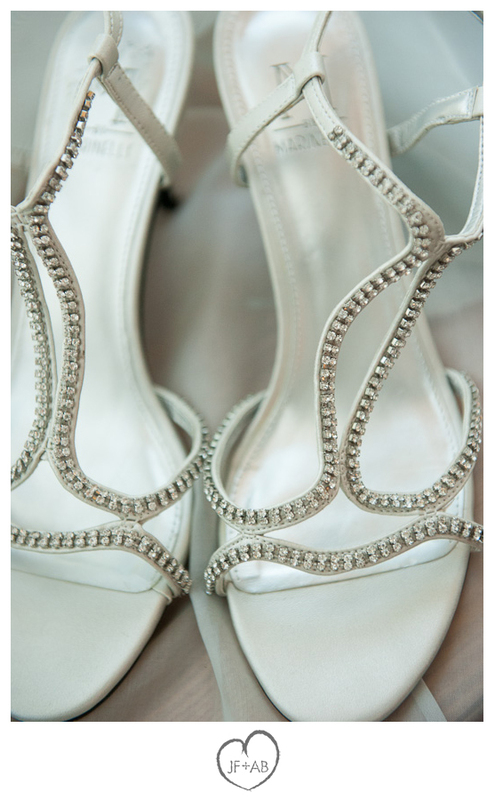 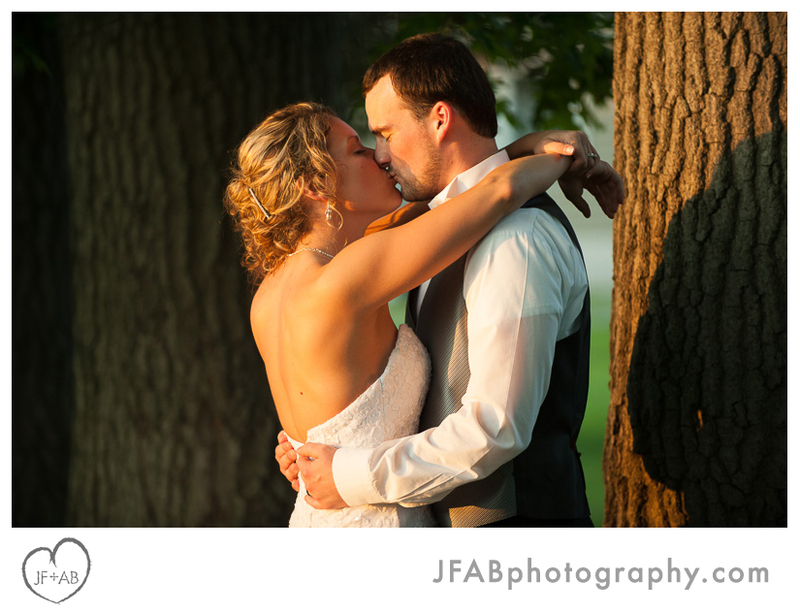 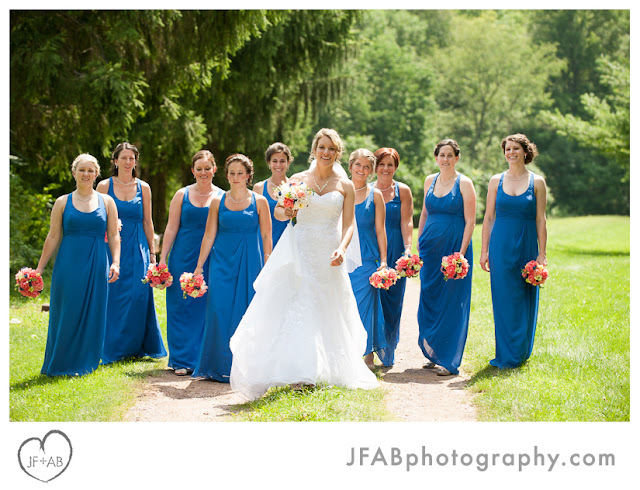 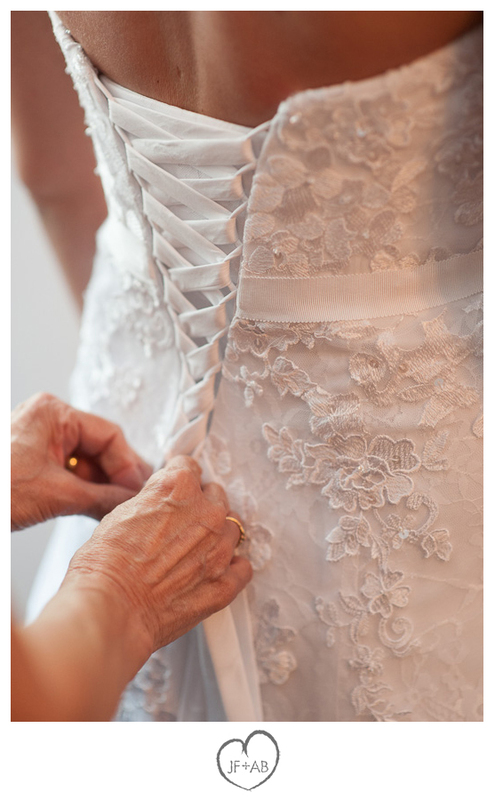 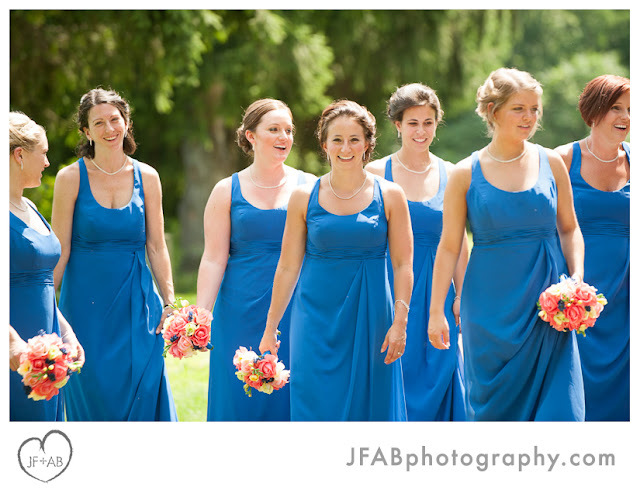 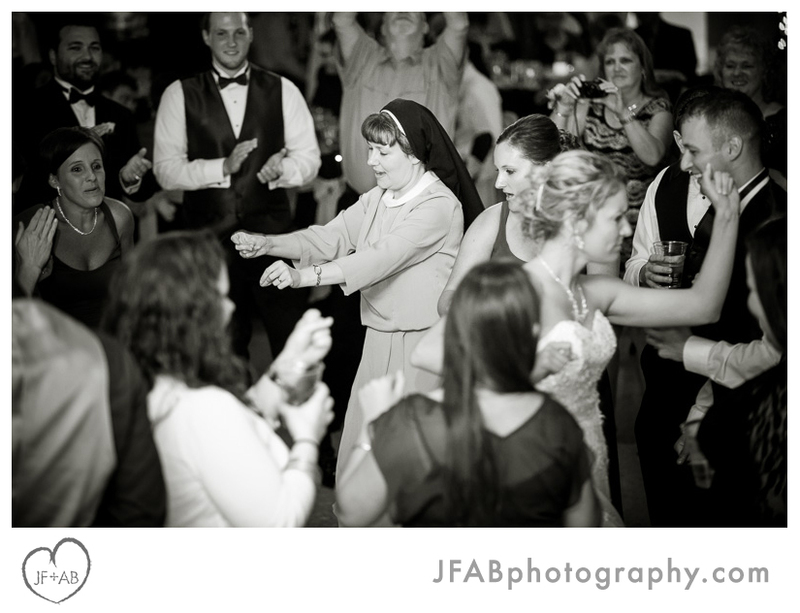 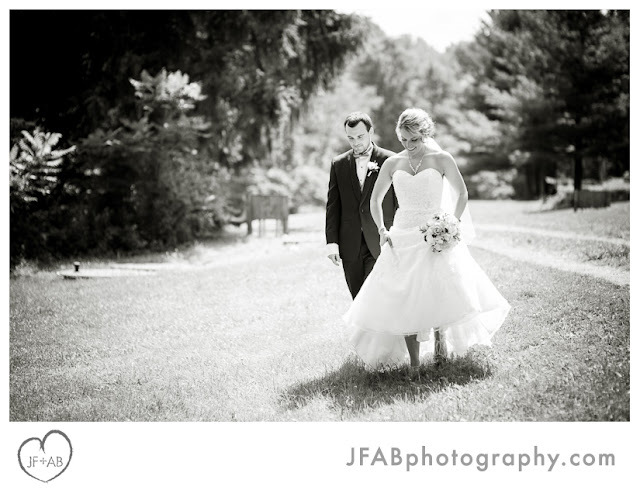 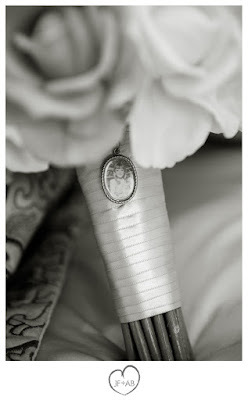 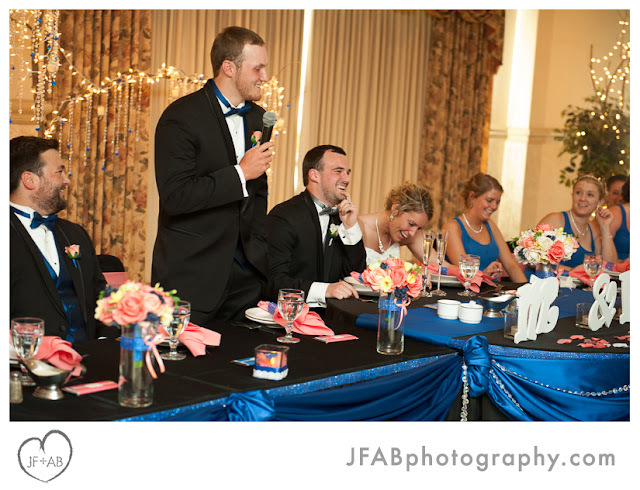 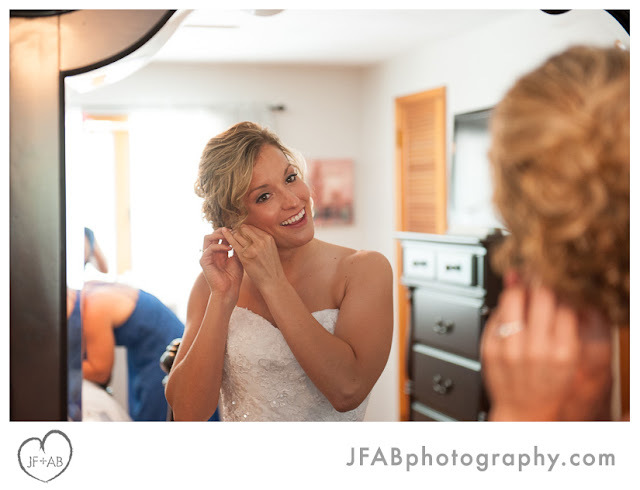 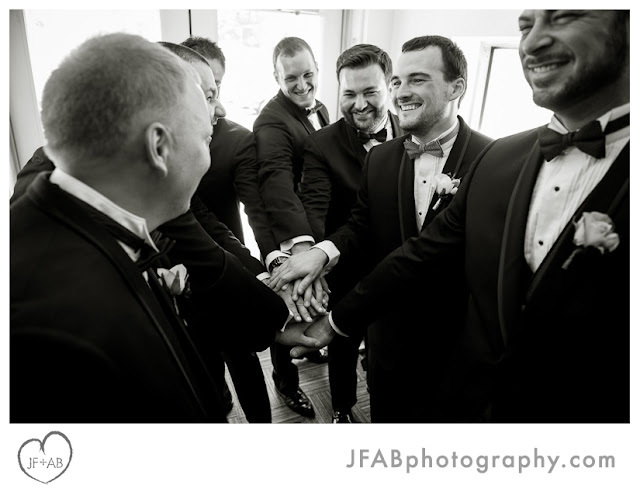 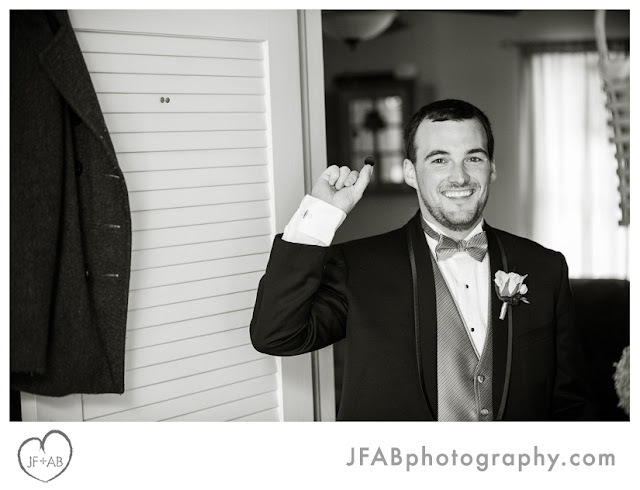 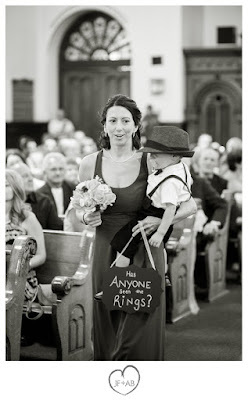 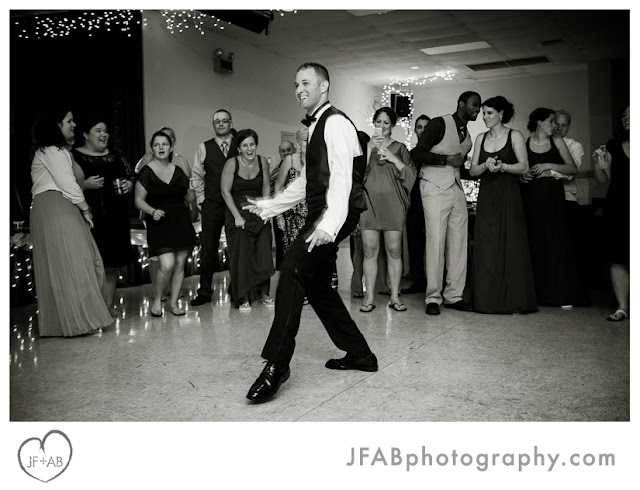 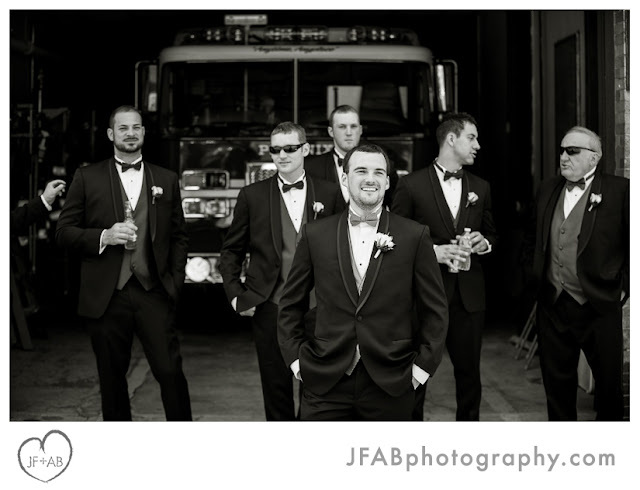 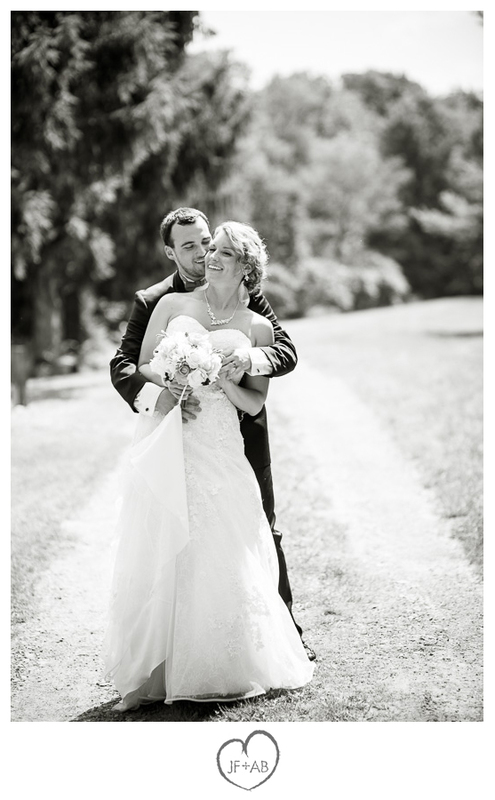 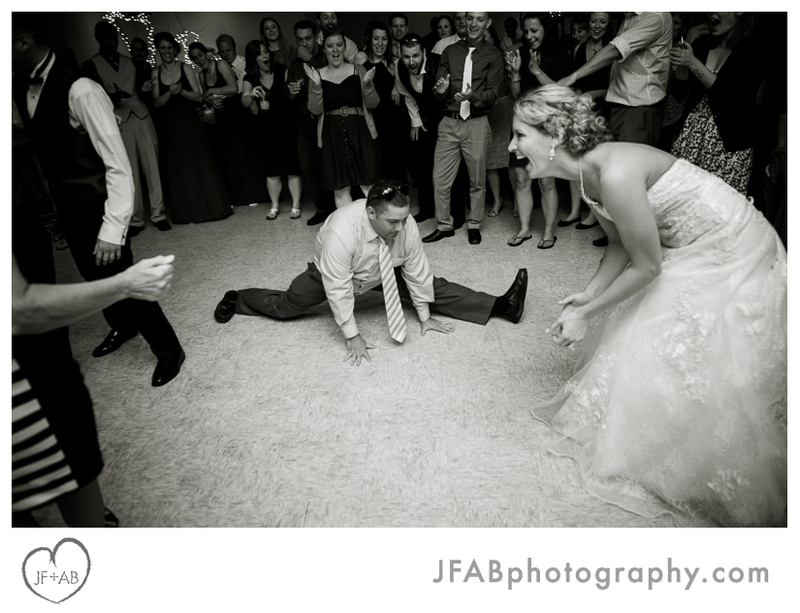 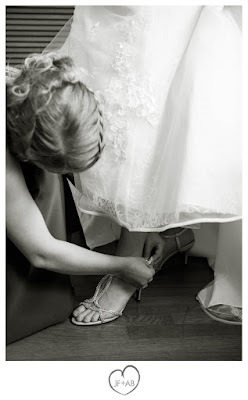 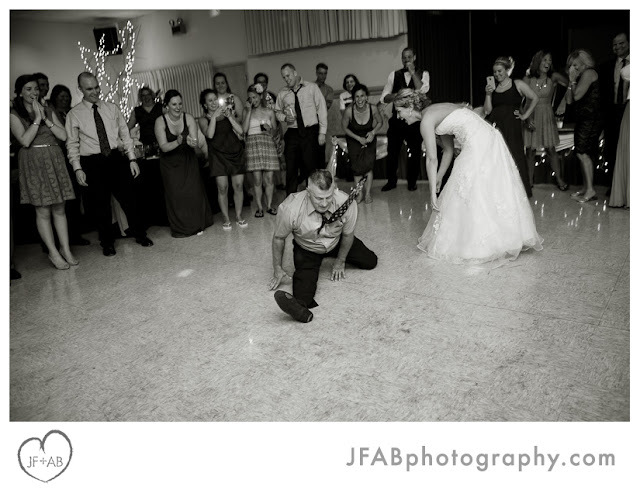 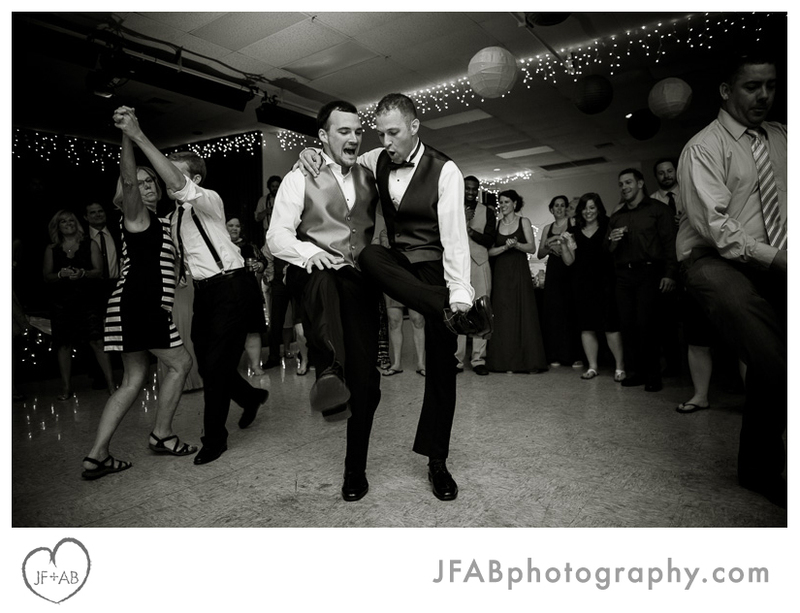 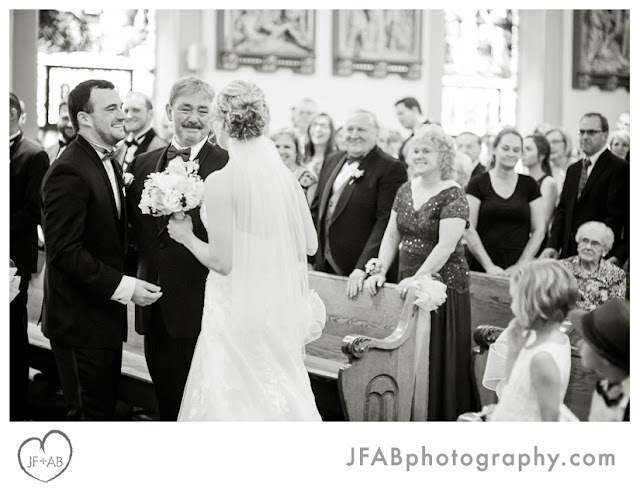 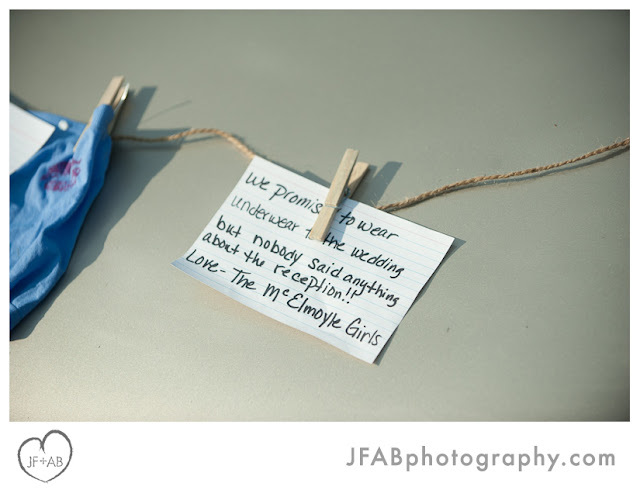 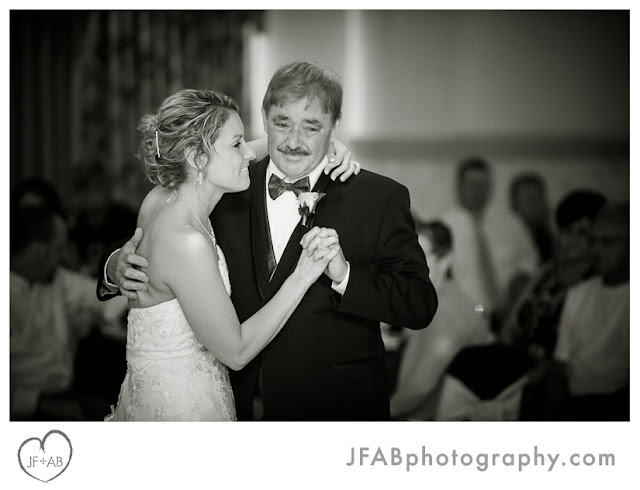 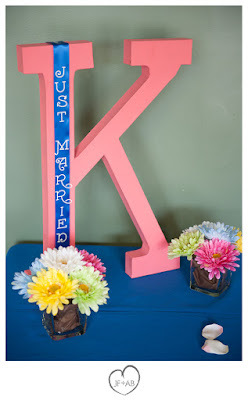 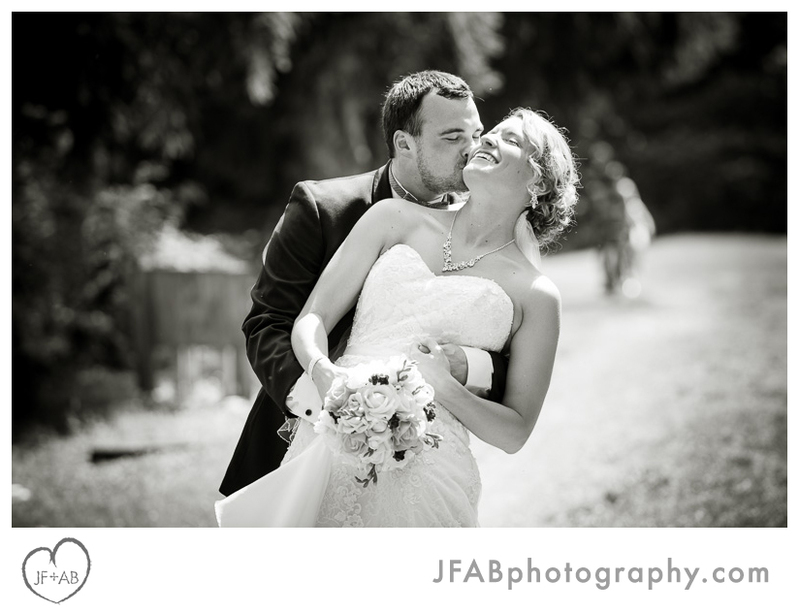 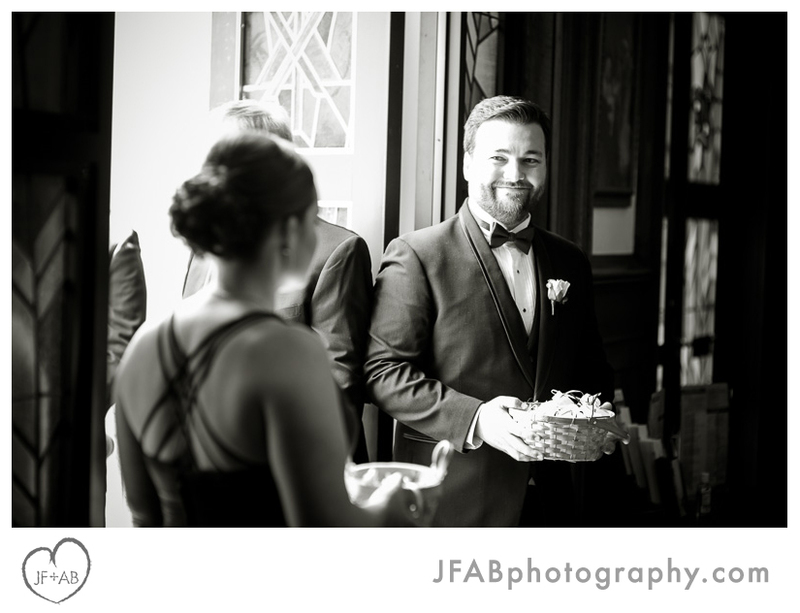 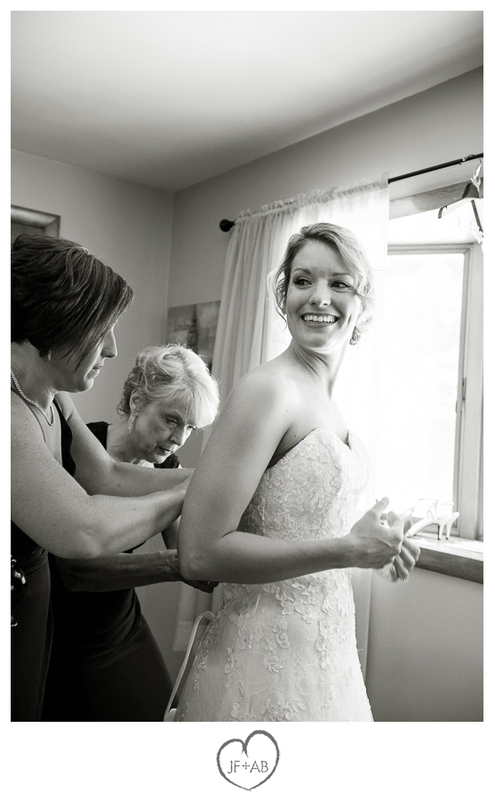 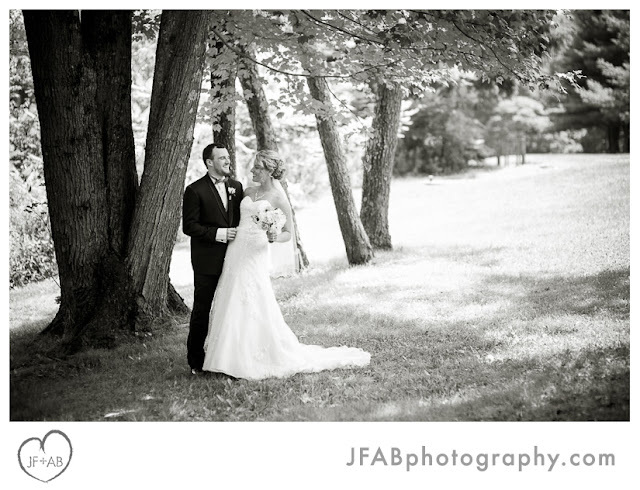 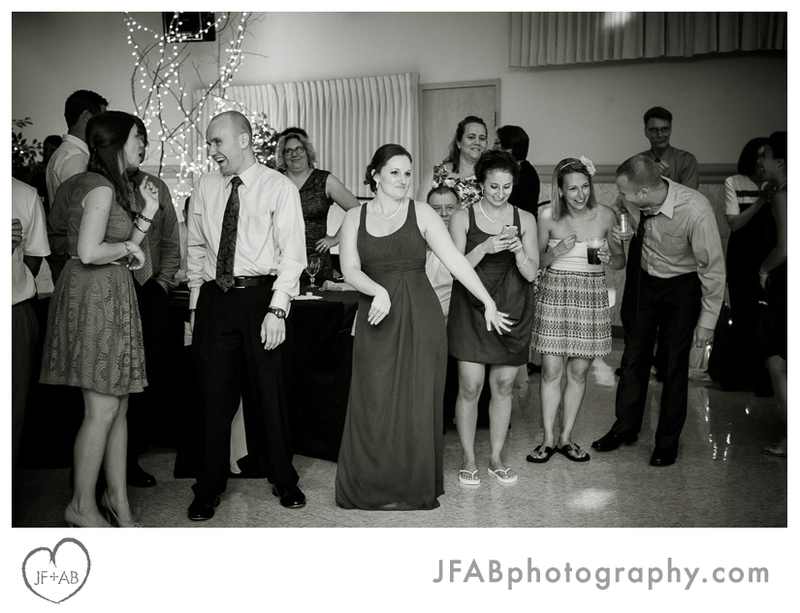 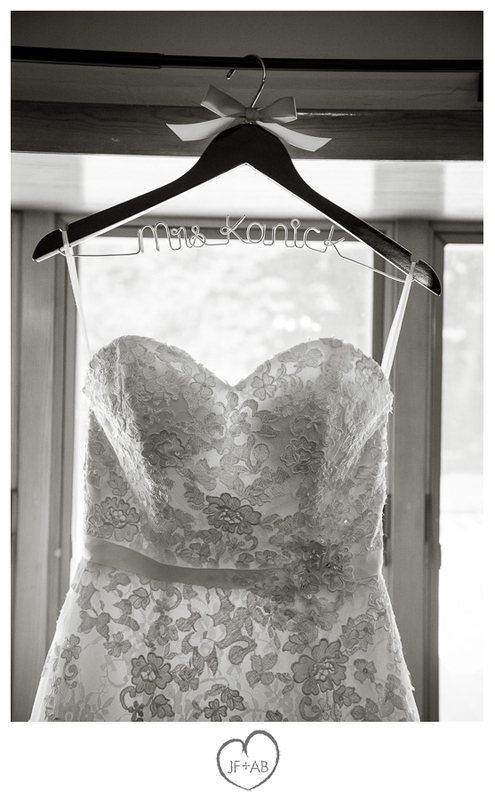 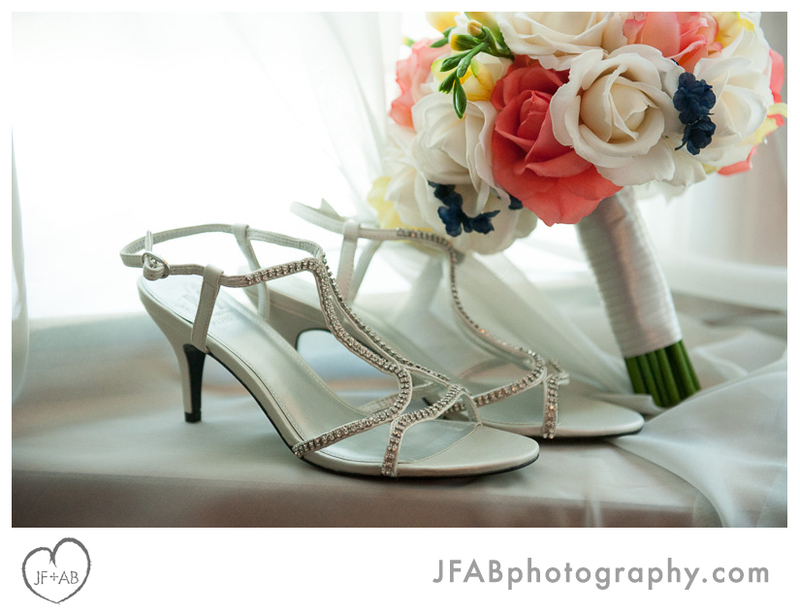 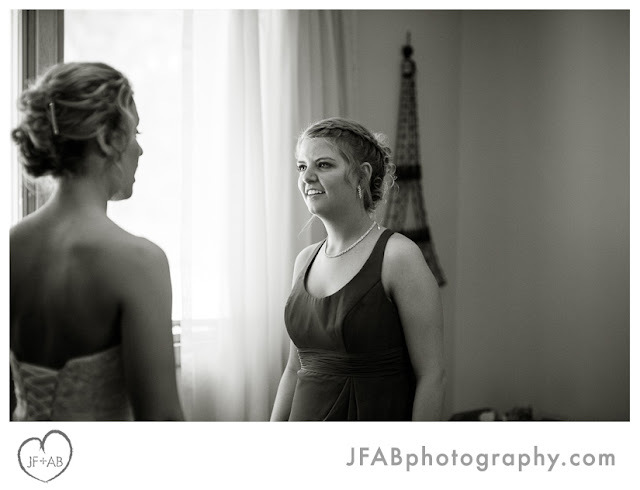 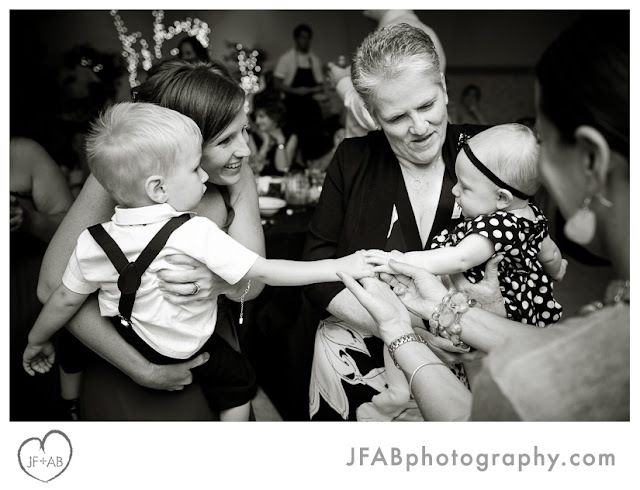 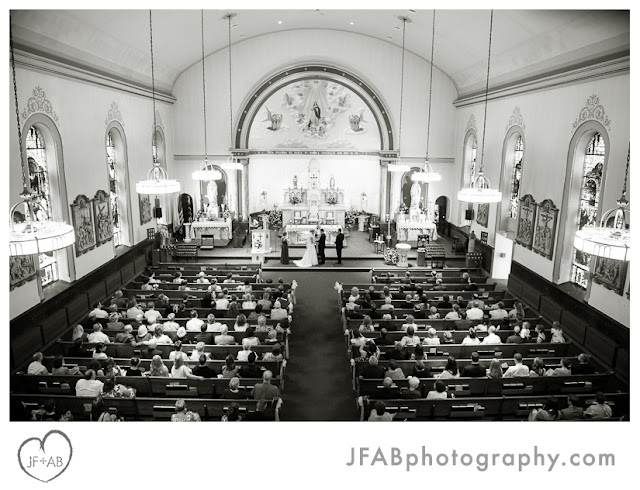 JF + AB Photography Blog: Tricia and Tony | Married! Tricia and Tony | Married! 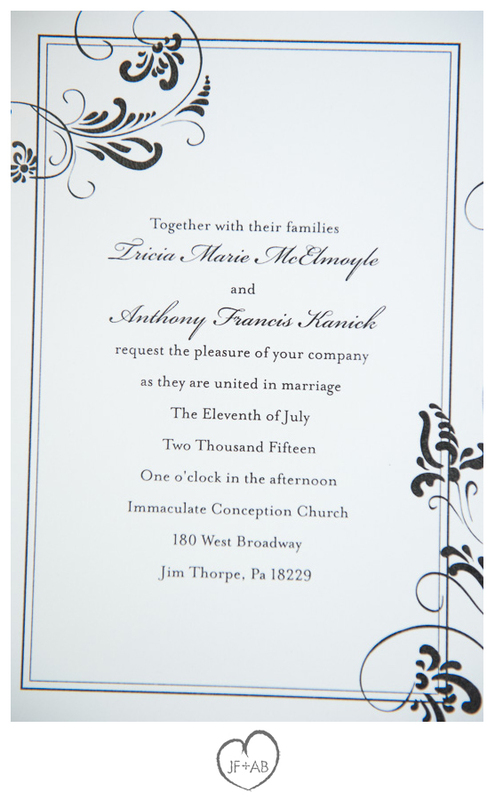 Tricia and Tony have a problem. 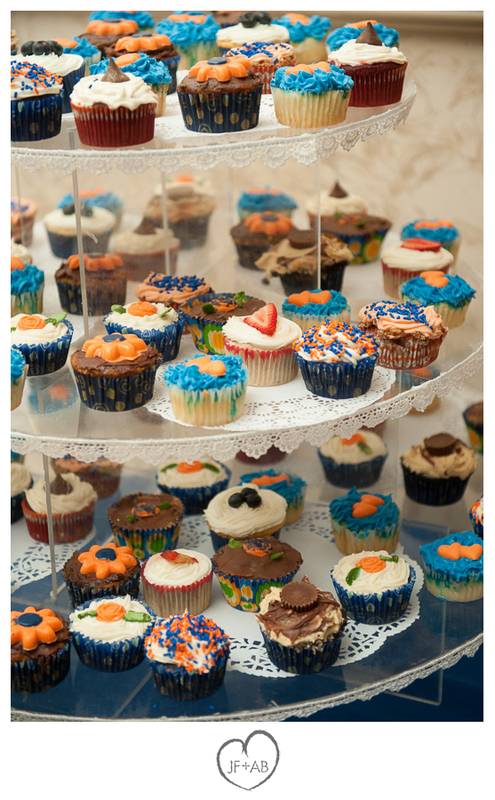 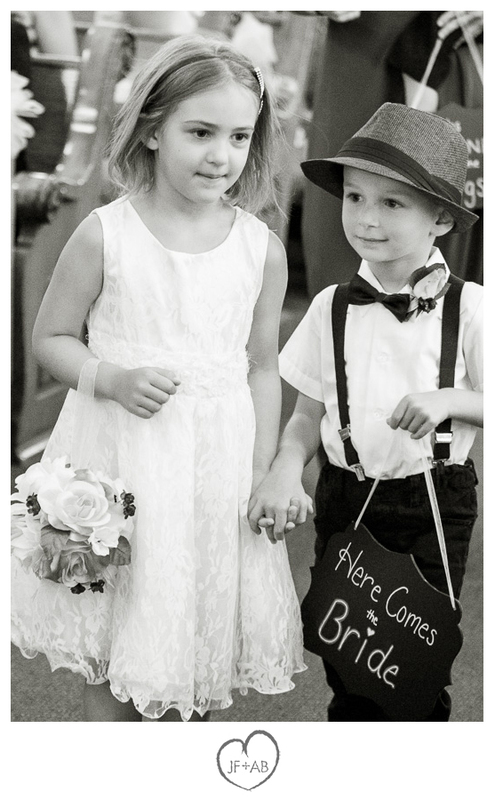 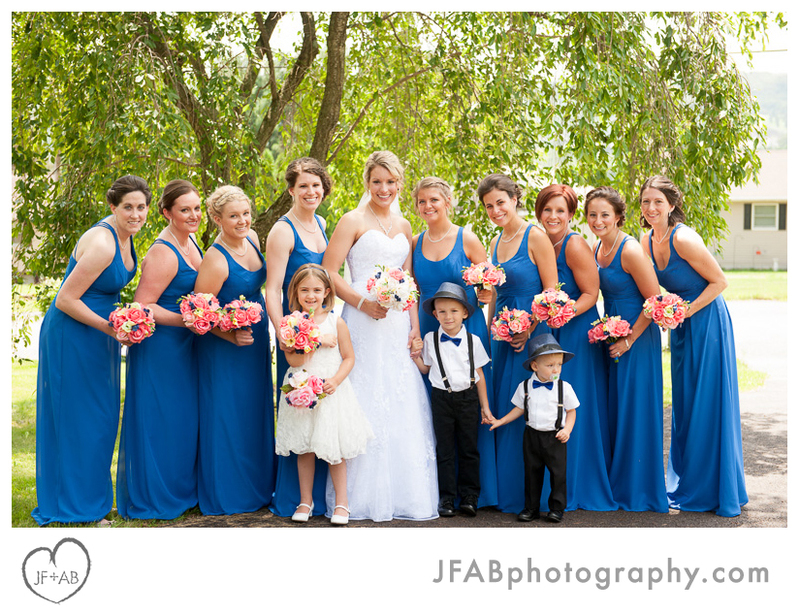 So many people love them that they had to invite nearly 300 guests to their wedding! 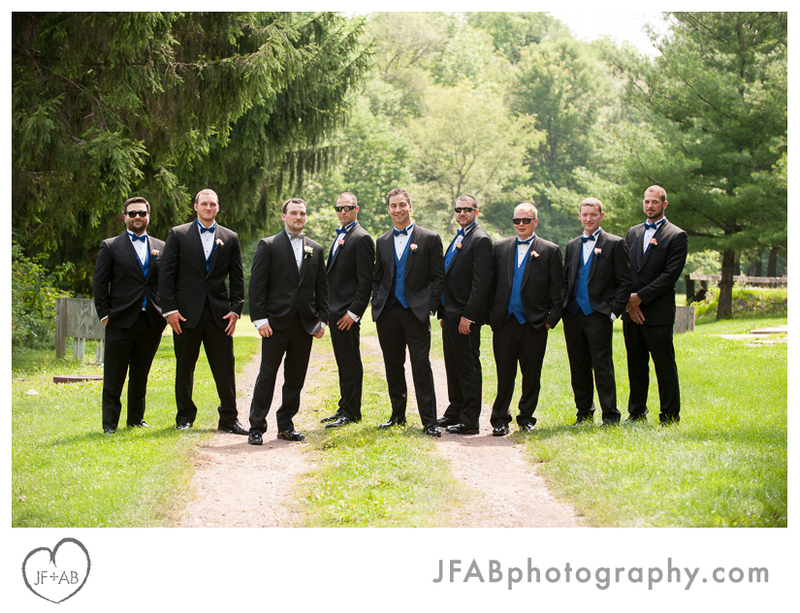 It was a blast photographing them and their friends and family. 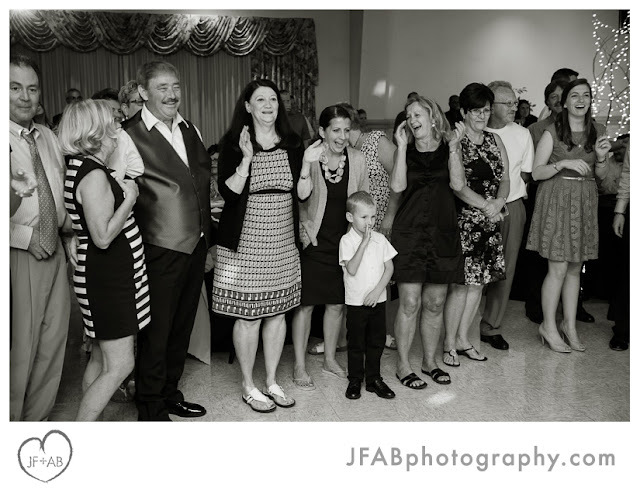 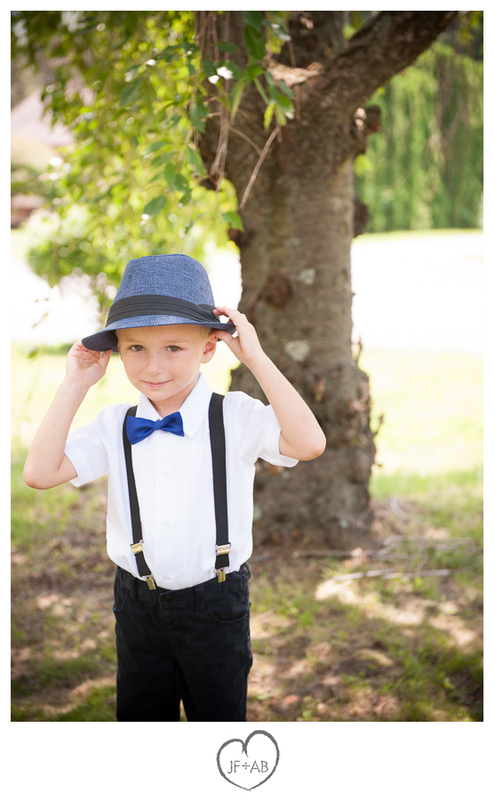 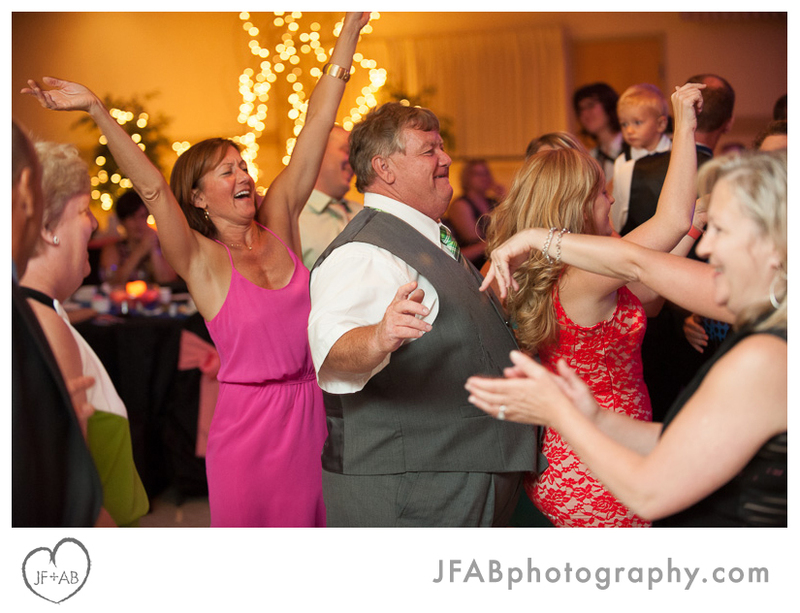 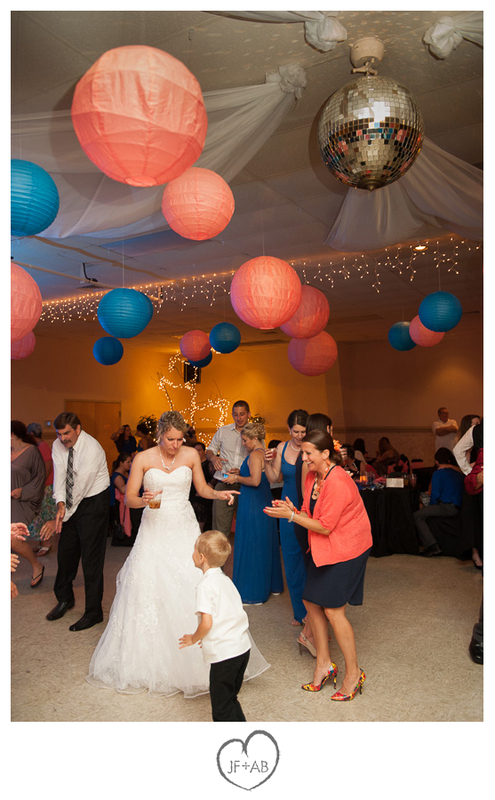 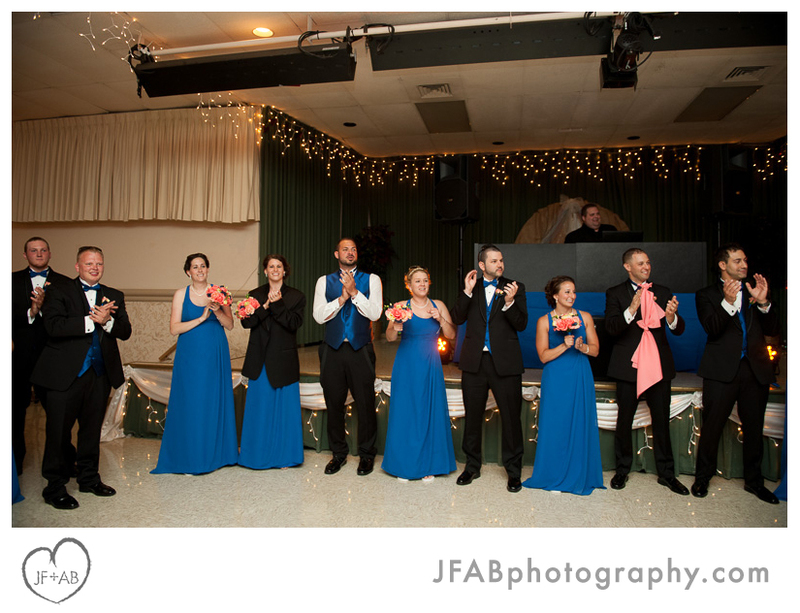 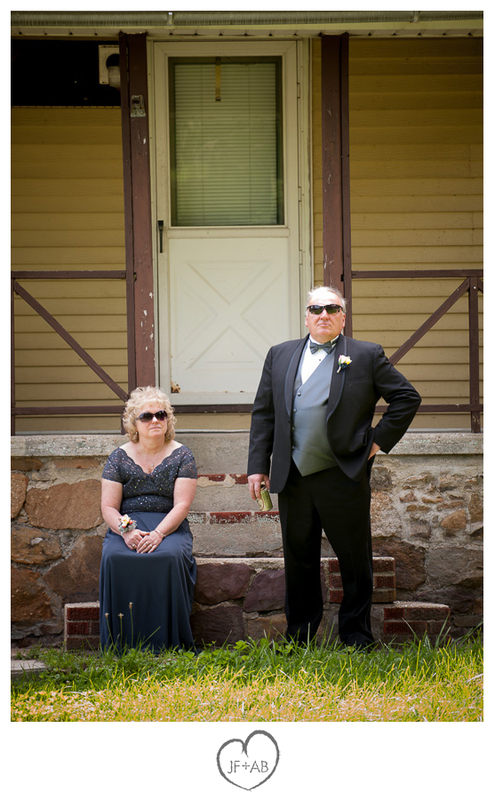 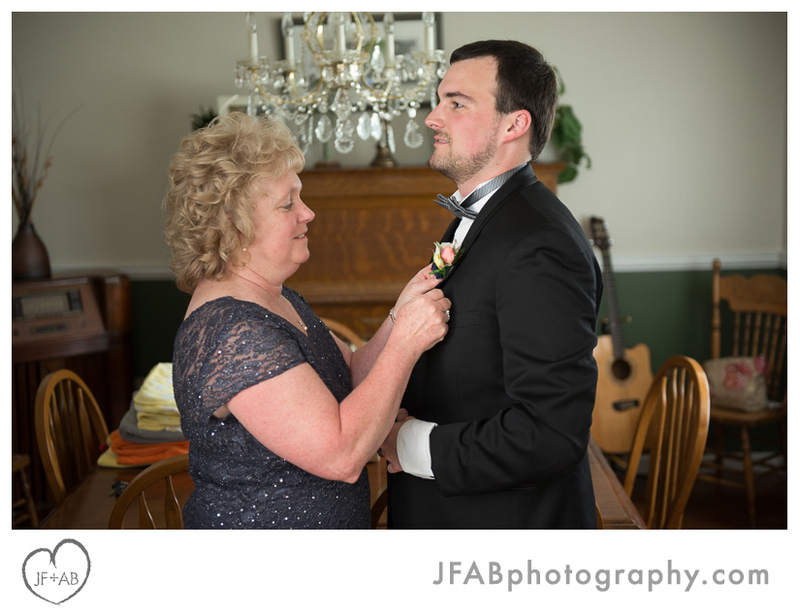 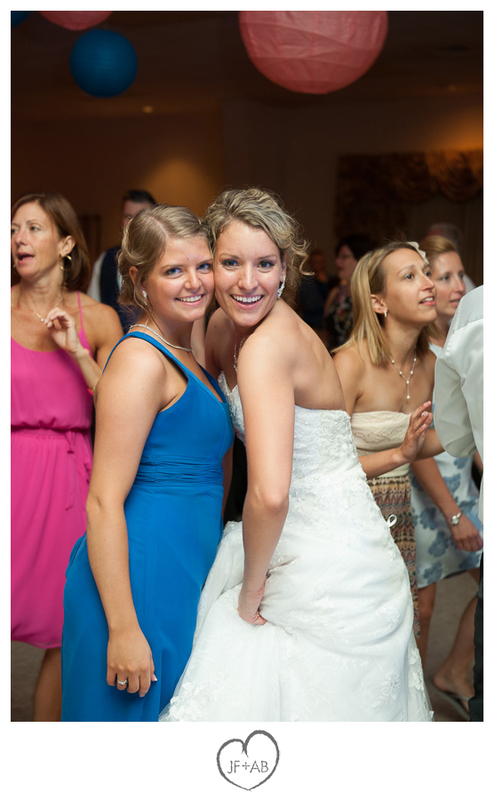 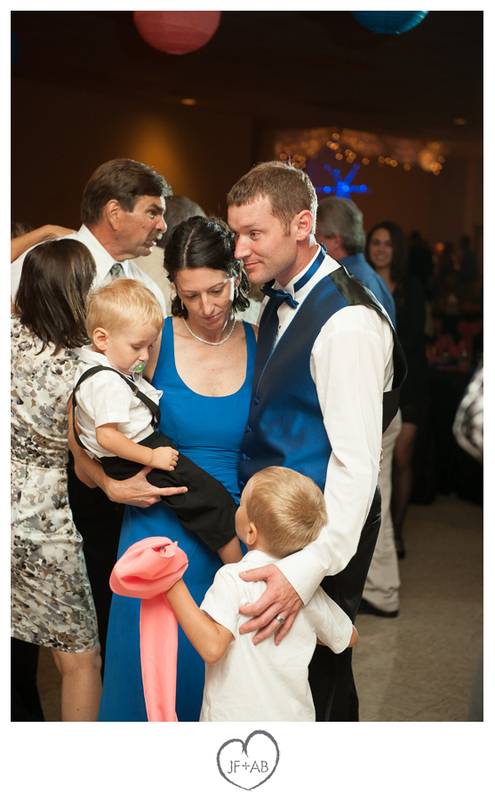 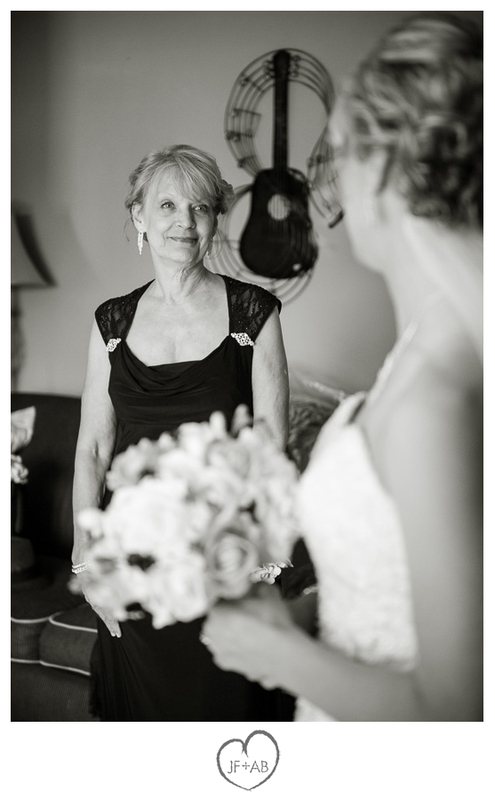 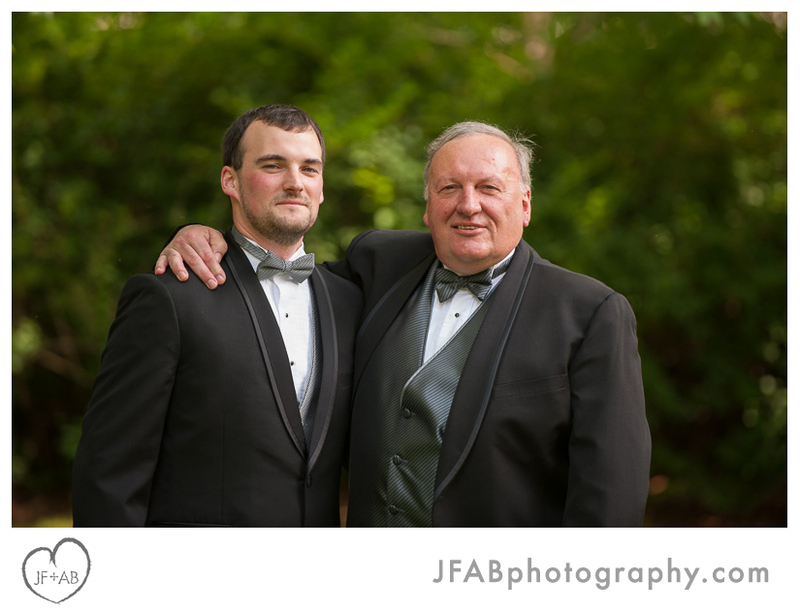 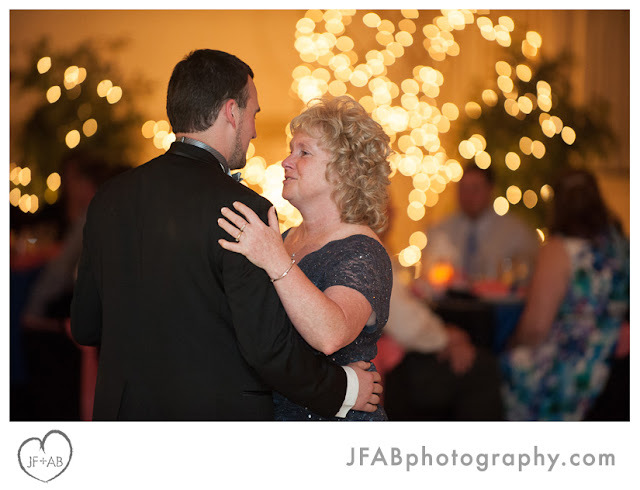 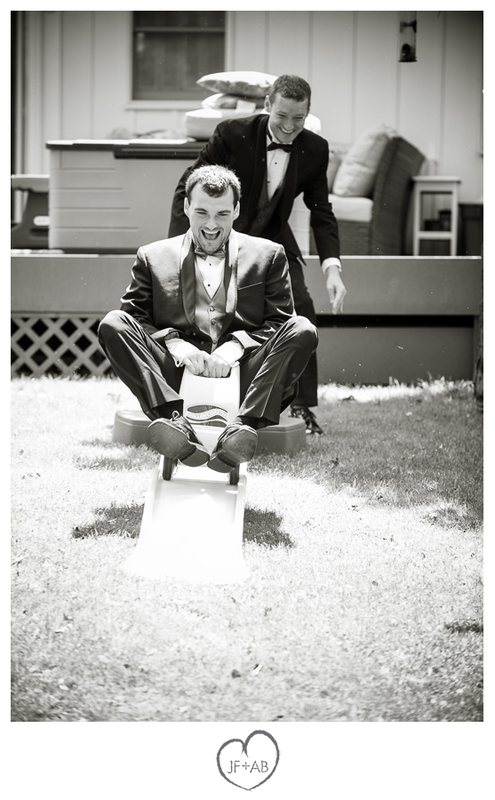 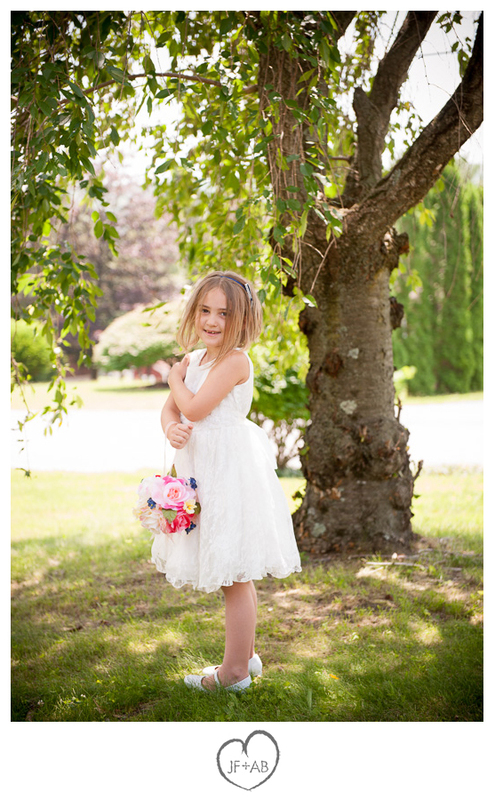 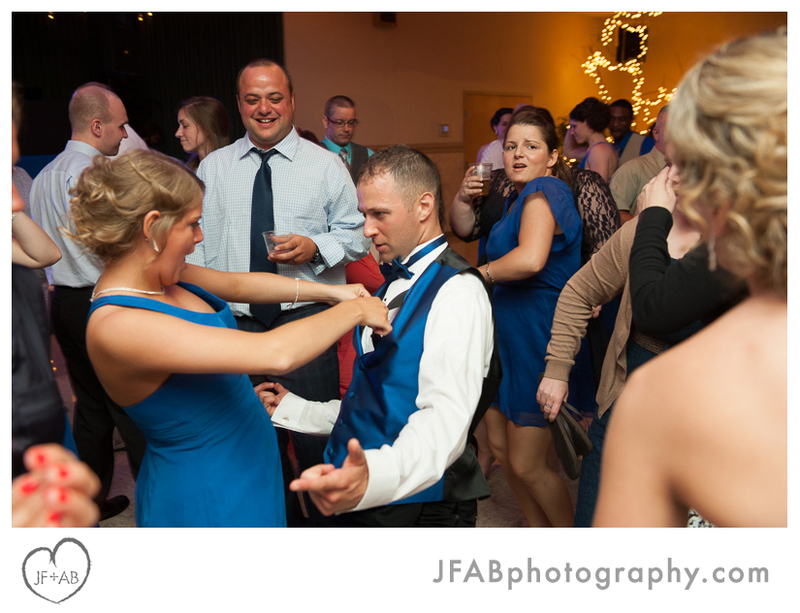 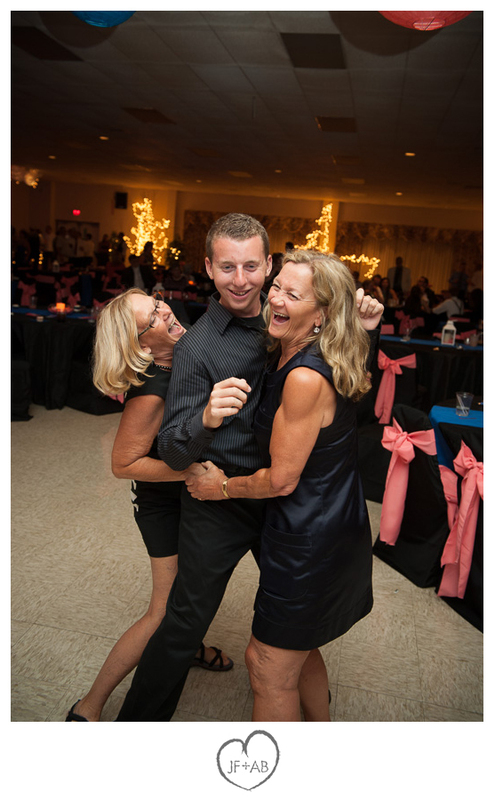 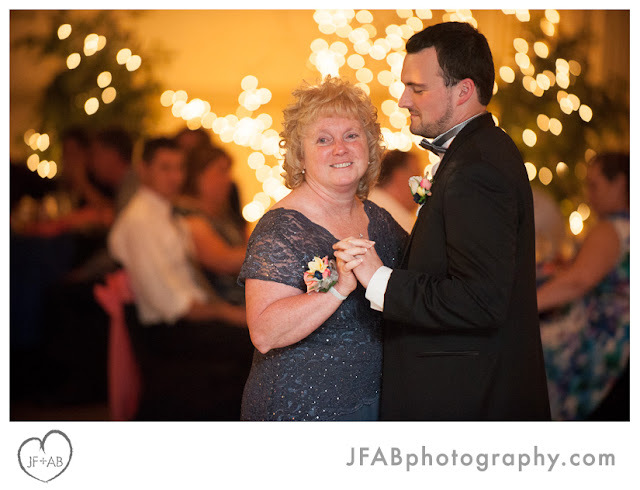 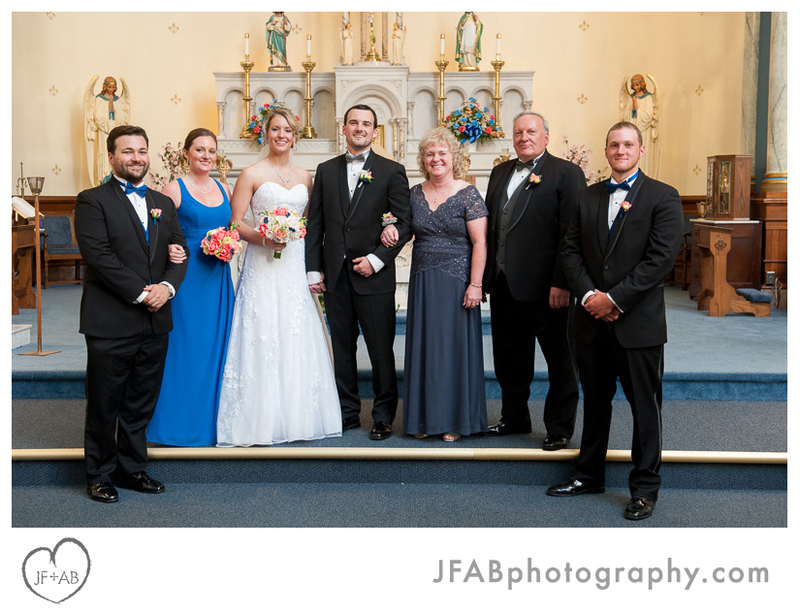 We saw many familiar faces since this was a local wedding and the second wedding we've photographed in the family. 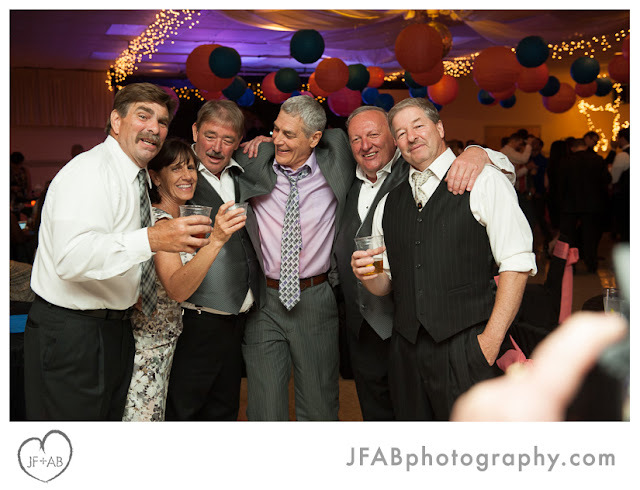 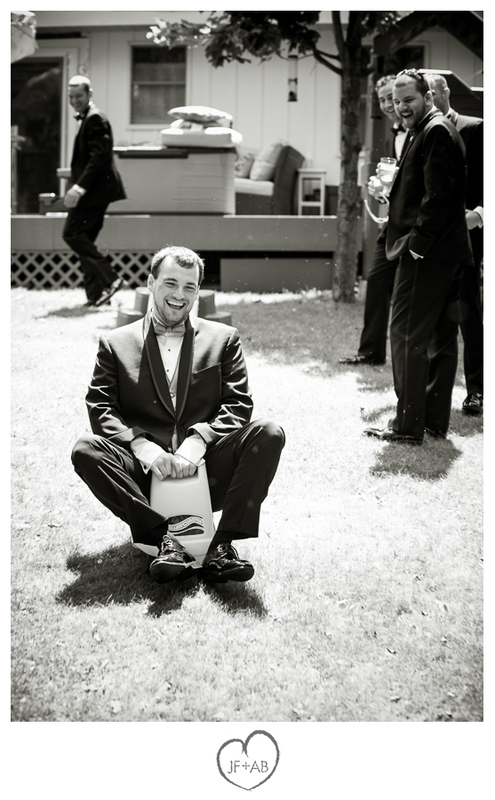 We shot Tony's sister Chrissy's wedding several years ago and enjoyed getting to know the family then. 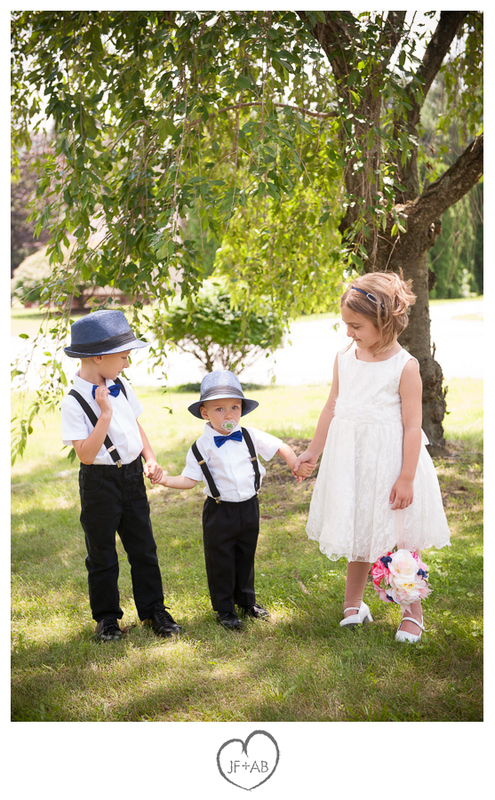 Chrissy is a photographer (one worth following btw - check her out online) and we were so flattered to hear that she told her future sister in law, we were the only photographers worth considering. Josh met Tricia and Tony for their engagement session at Glen Onoko (aka Lehigh Gorge State Park) last fall. 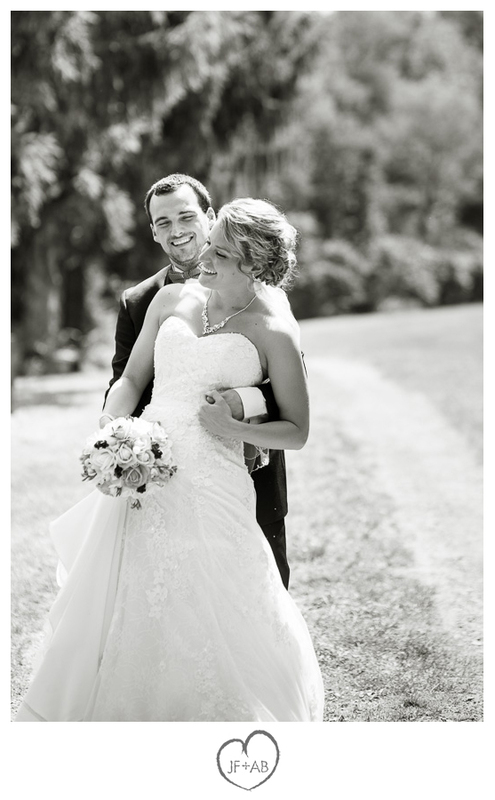 He learned first hand that these two are really down to earth, very much in love and have a great sense of humor. 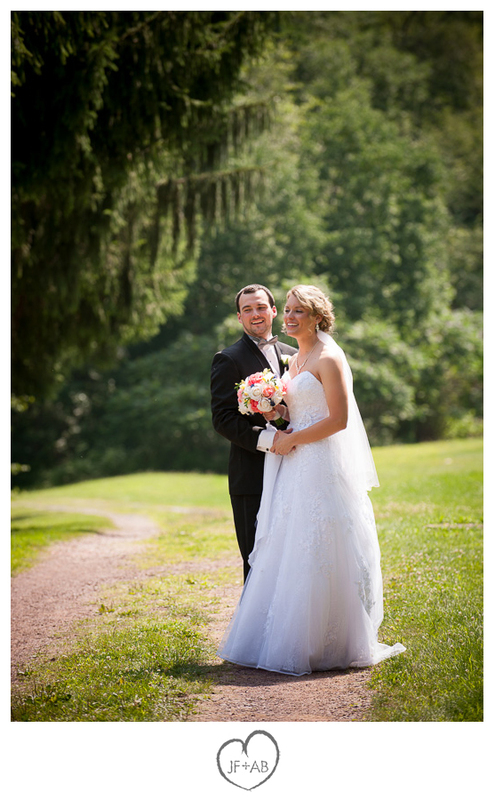 They also have a sense of adventure as evidenced by their love of travel and the hike Josh took them on to get photos of them on a cliff overlooking the Lehigh River. 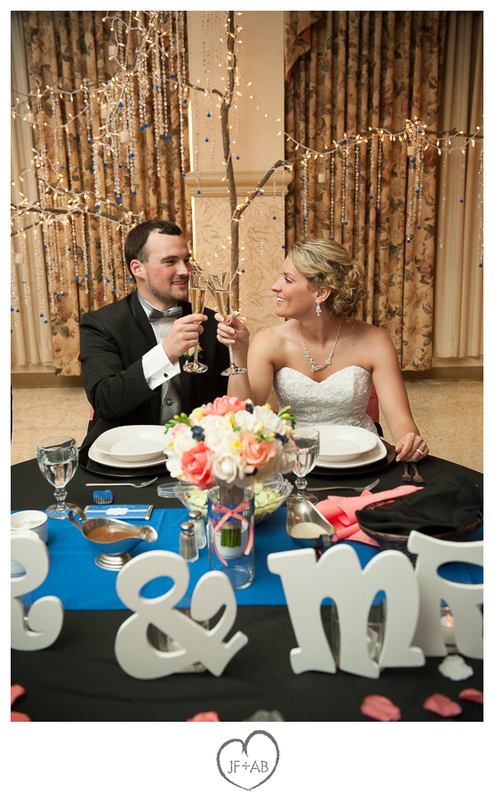 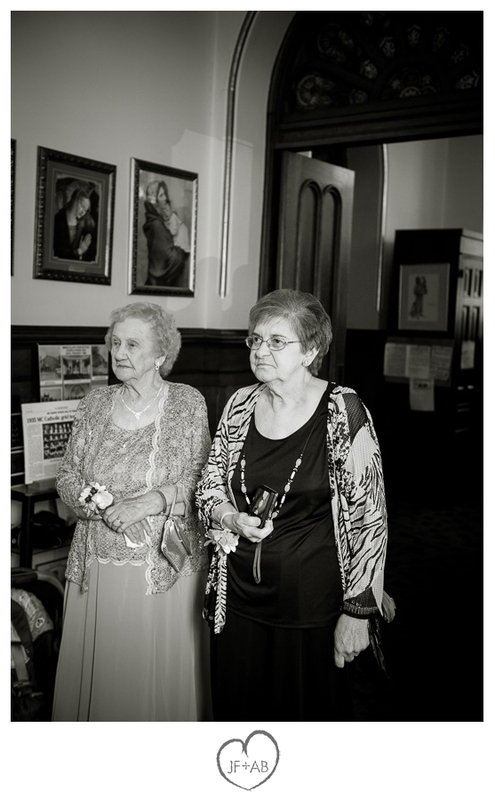 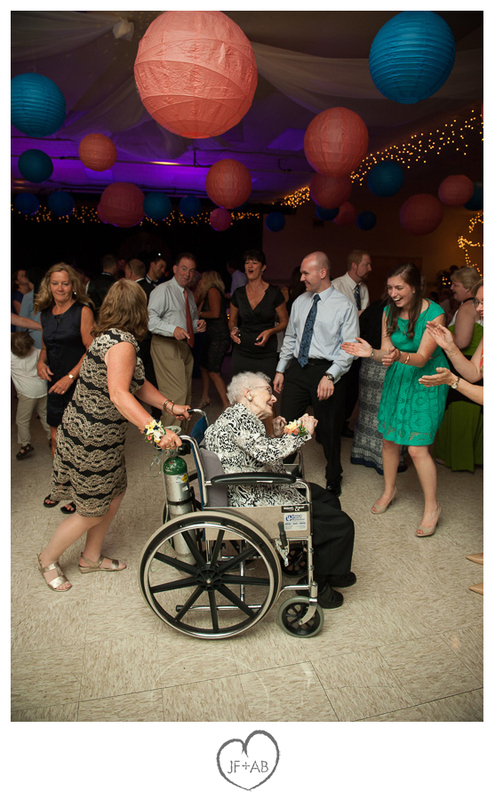 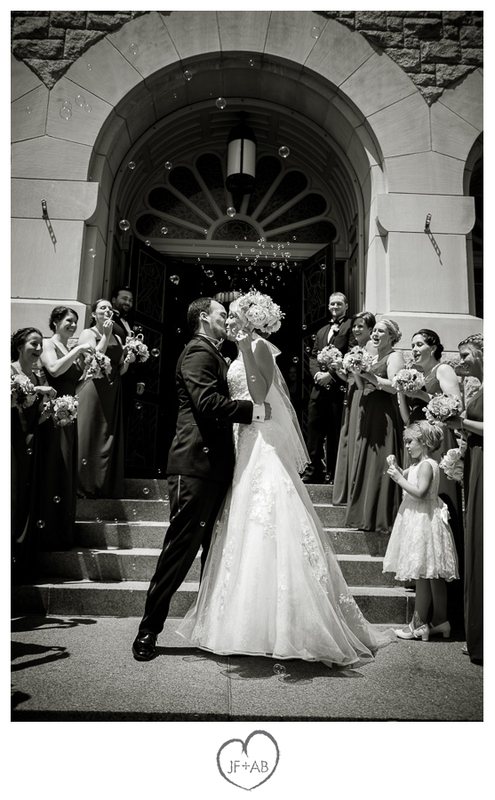 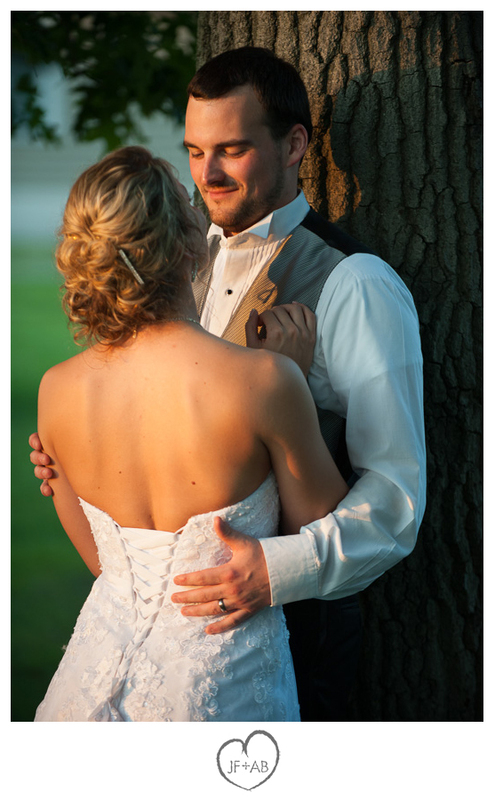 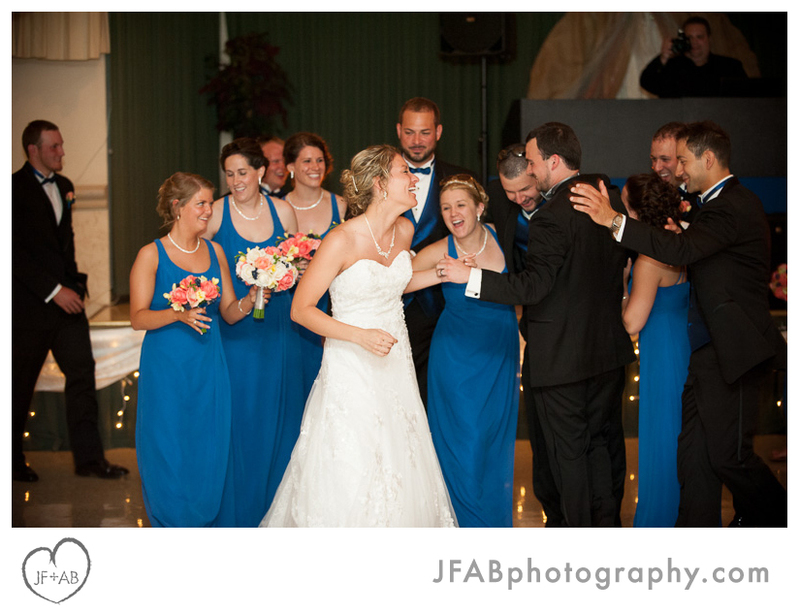 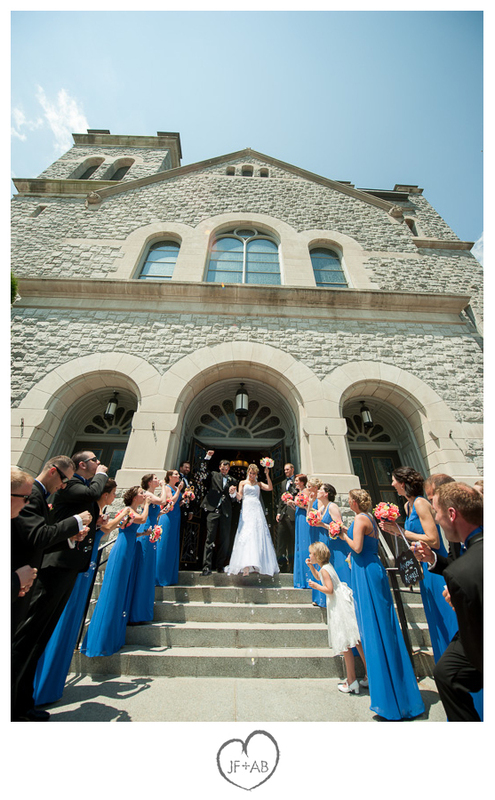 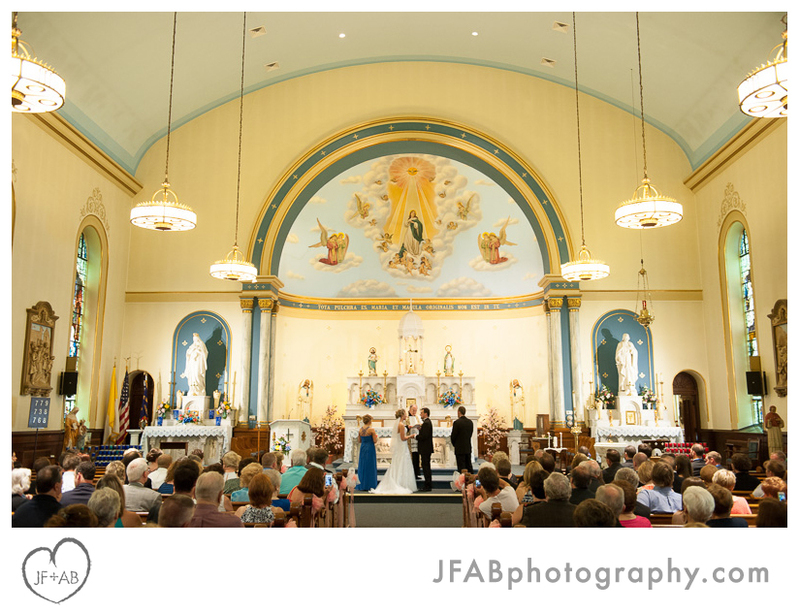 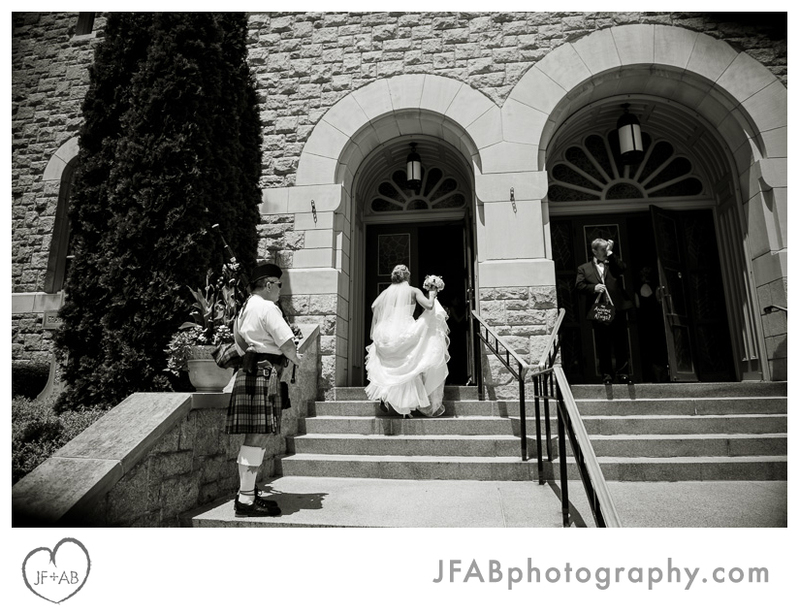 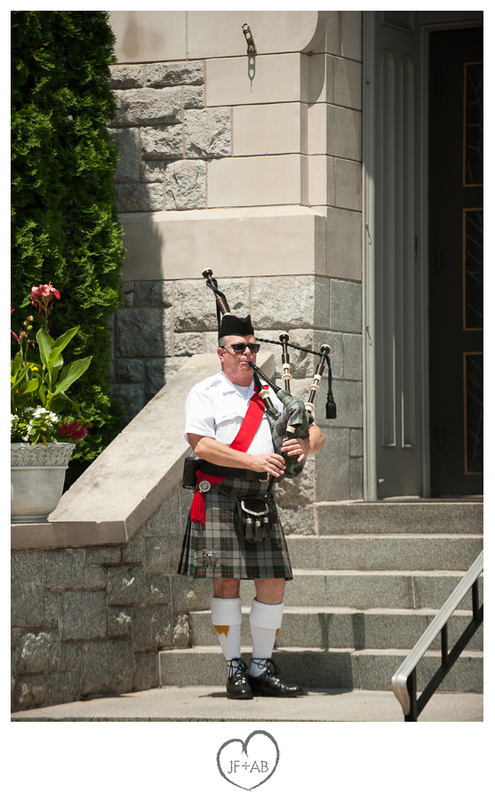 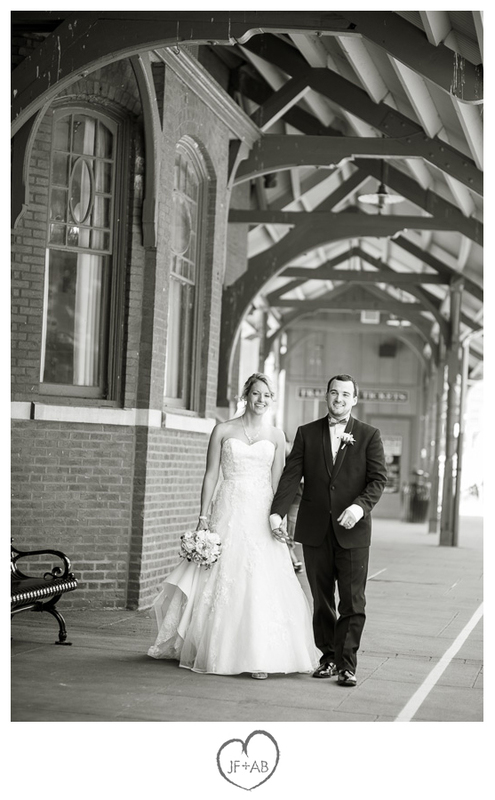 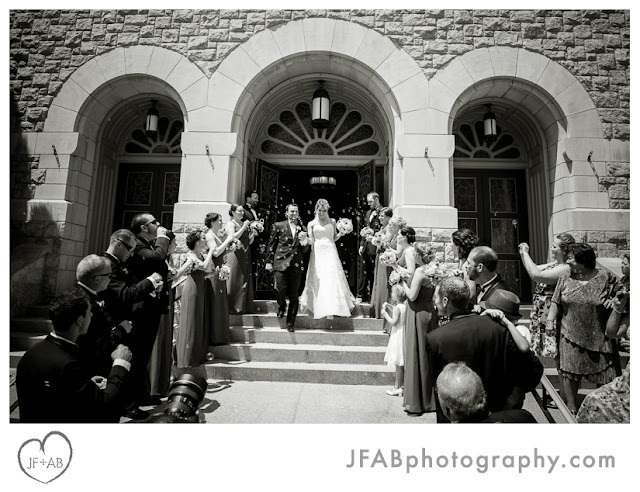 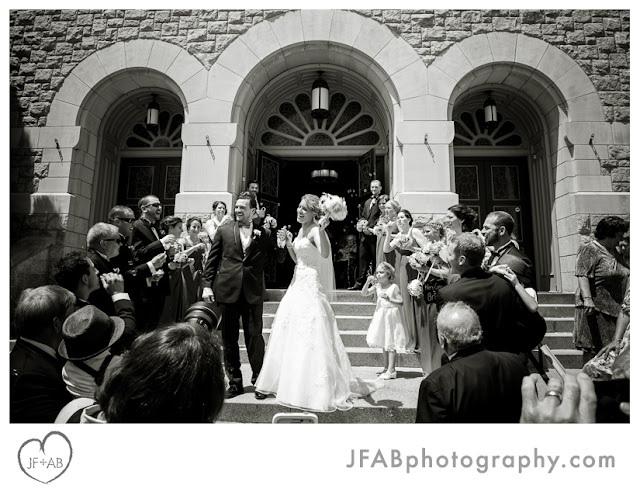 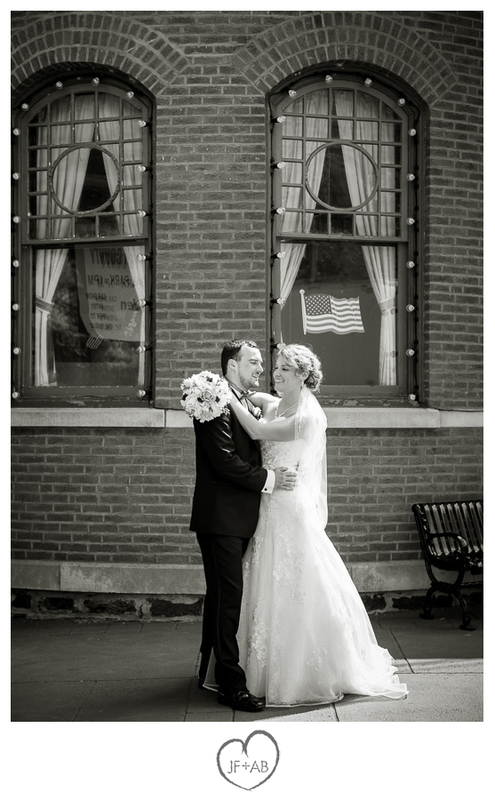 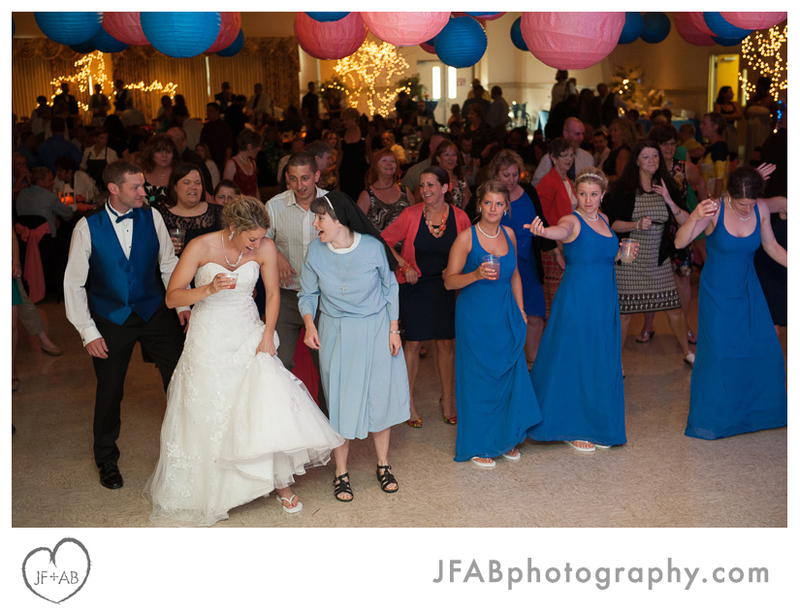 We've photographed weddings at Immaculate Conception before, but this was our first wedding at Memorial Hall. 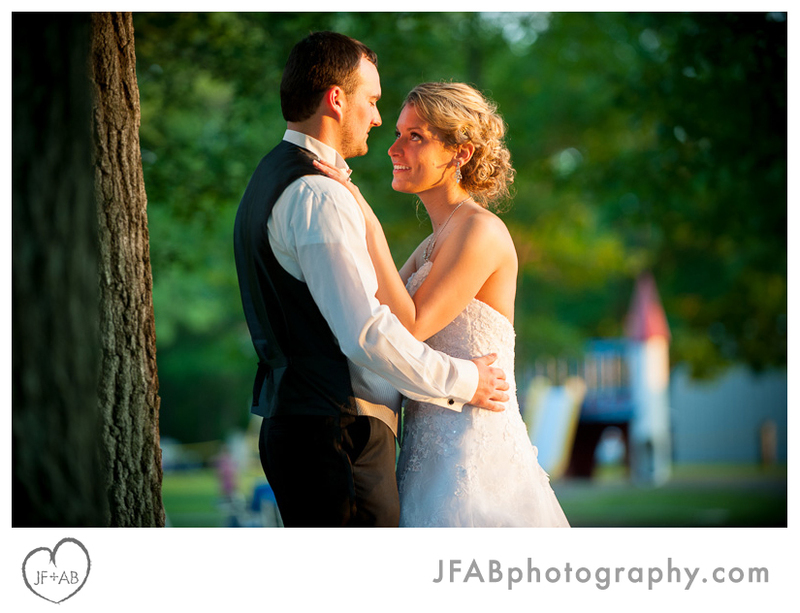 We couldn't resist taking Tricia and Tony out on the playground around sunset for a few photos. 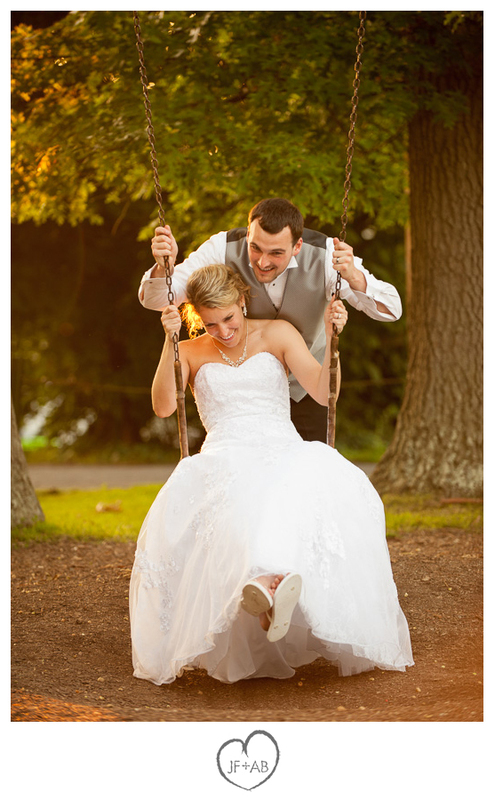 My favorites are of Tony pushing Tricia on a swing and the shot that captures the gorgeous back of her dress while Tony looks lovingly at her. 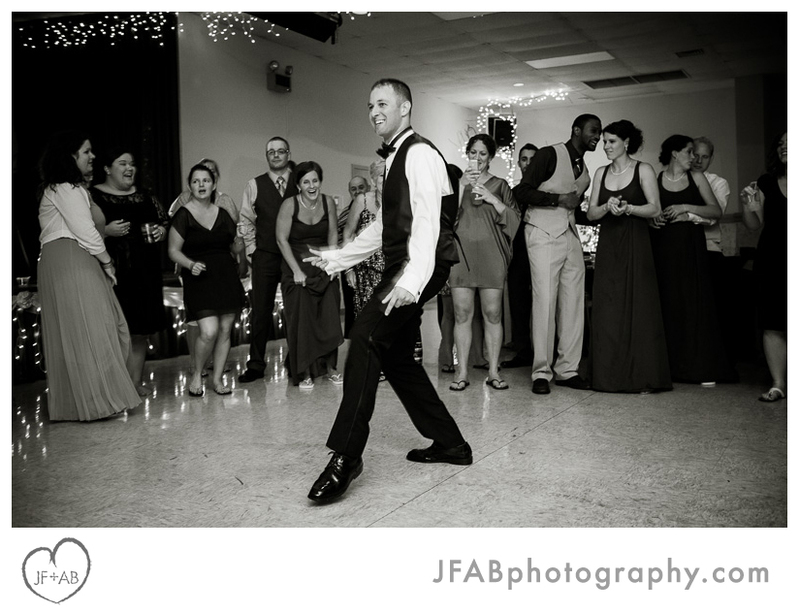 DJ Adam Scuba did a great job of getting the party started and kept it going well through when it was time to leave. 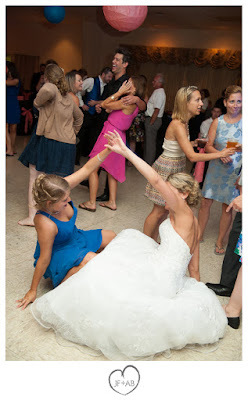 Honestly, it was hard to tear ourselves away. 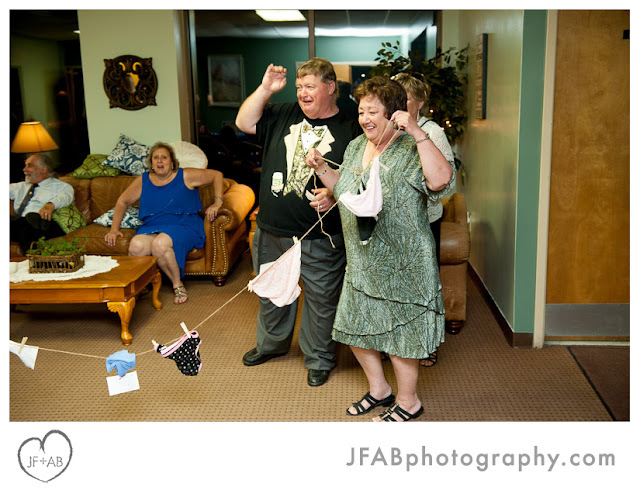 Things kept happening that we simply had to photograph. 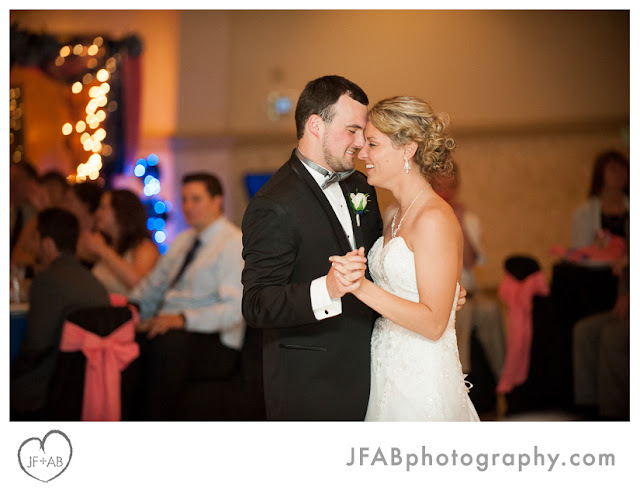 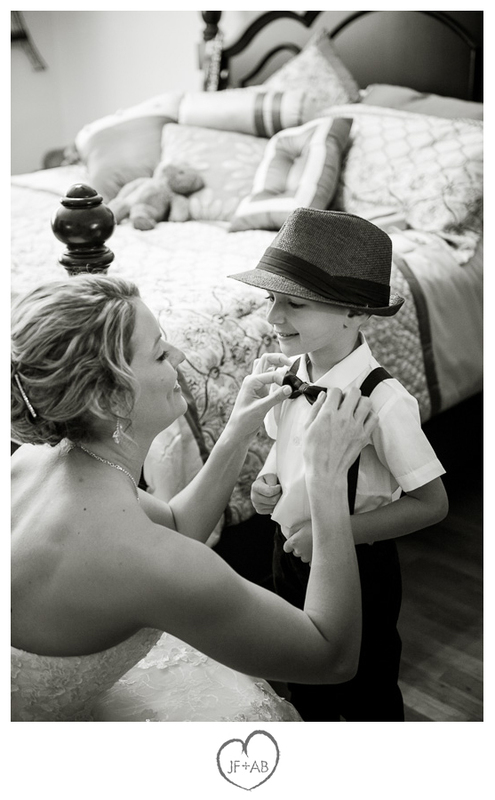 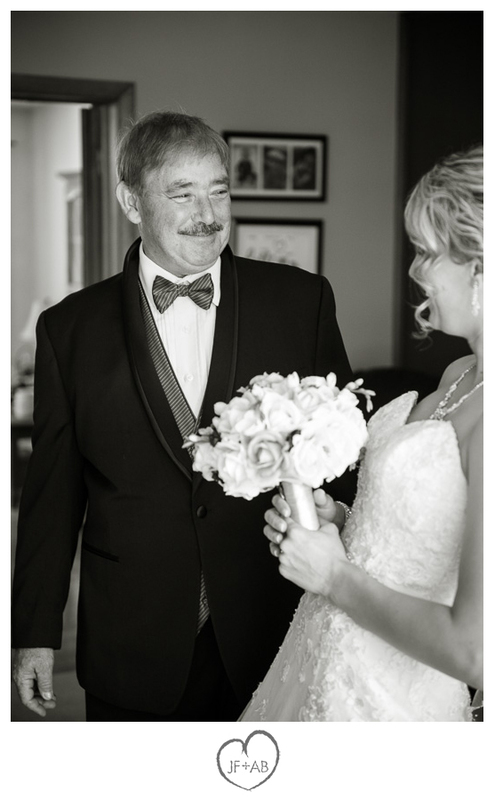 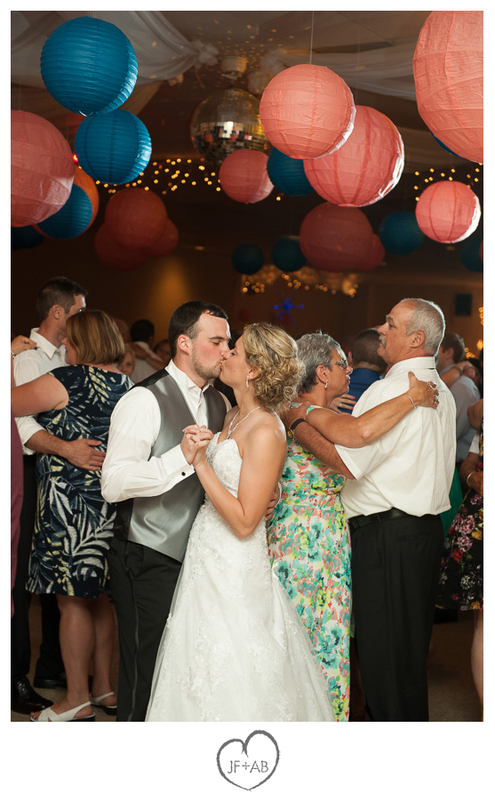 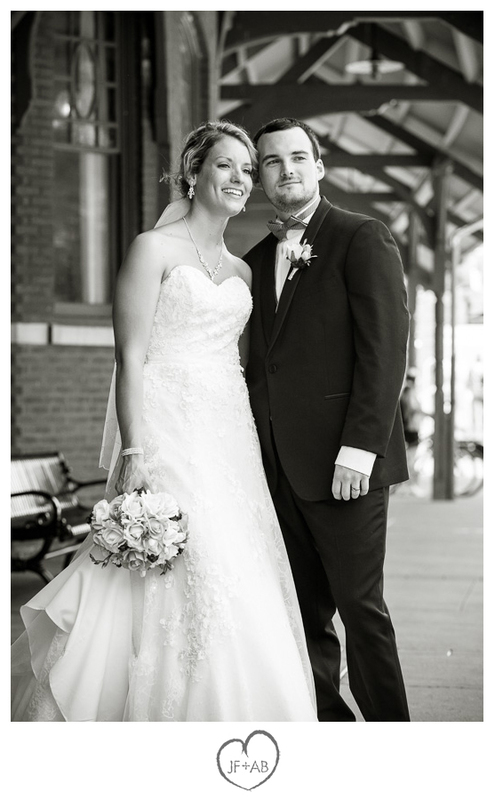 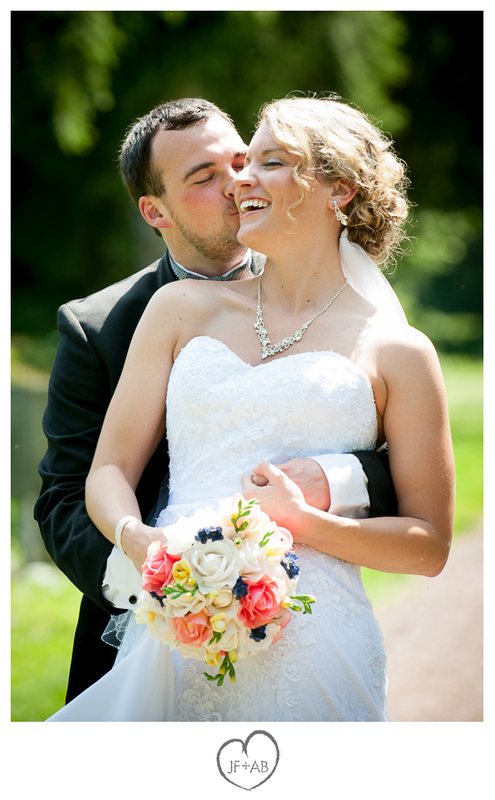 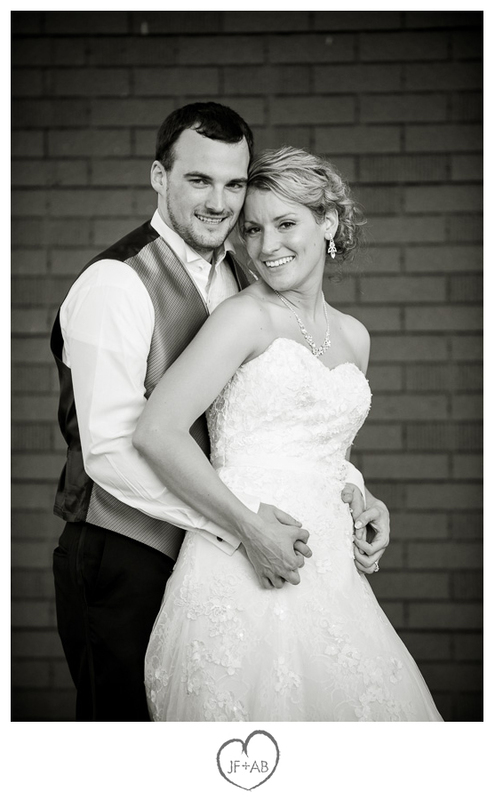 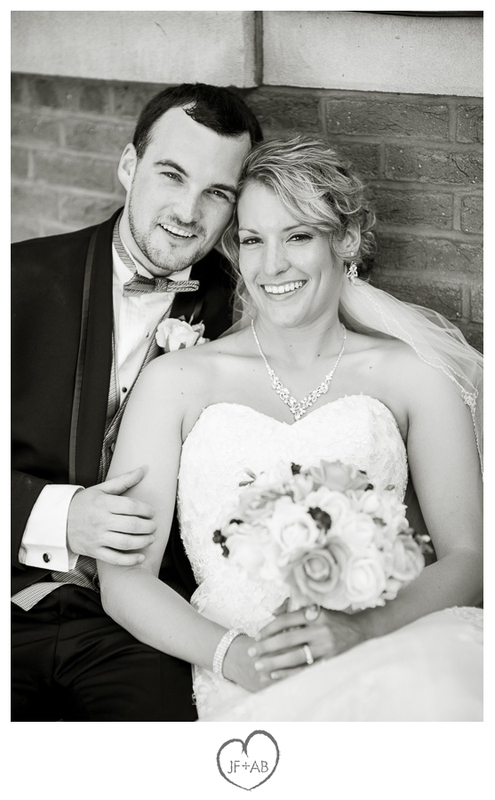 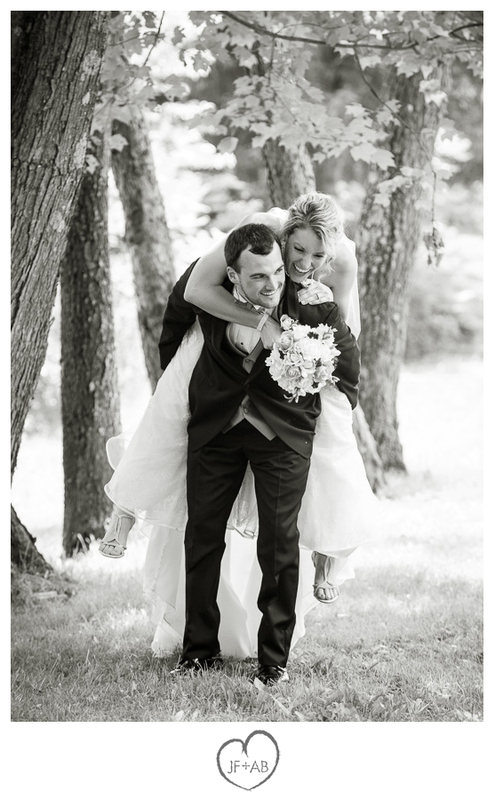 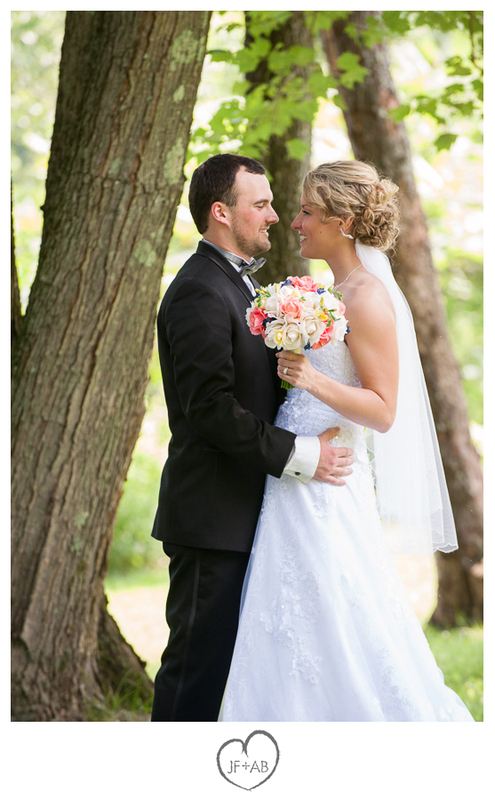 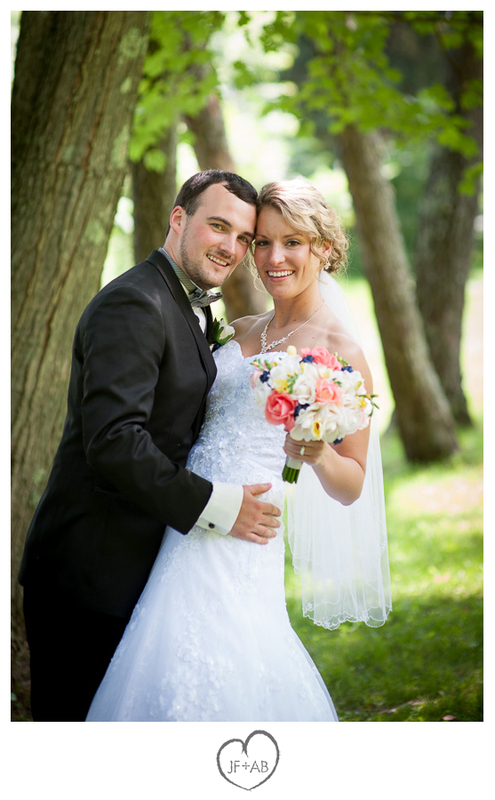 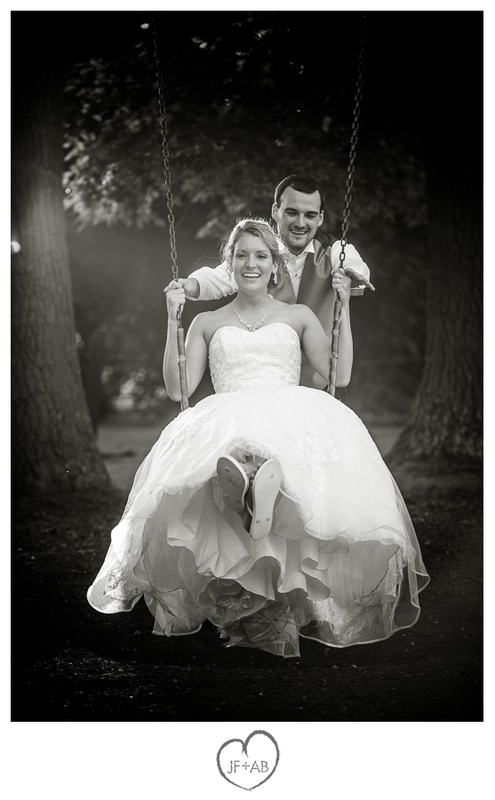 Thank you Tricia and Tony for trusting us to capture the story of your day in photos. It was a pleasure and we look forward to making an album with you. 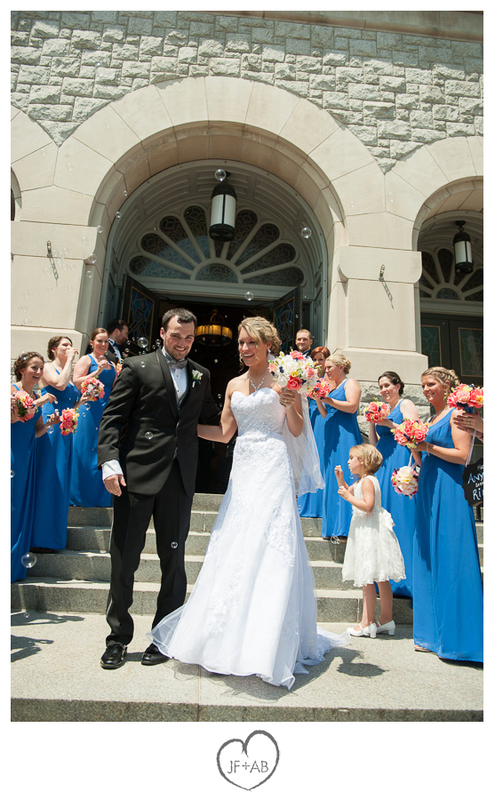 Scroll on to check out our favorite moments from the day. 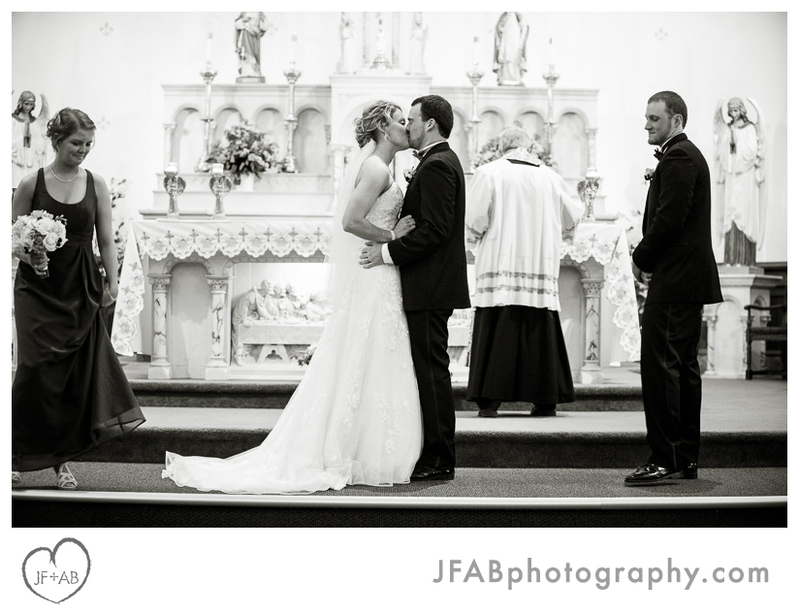 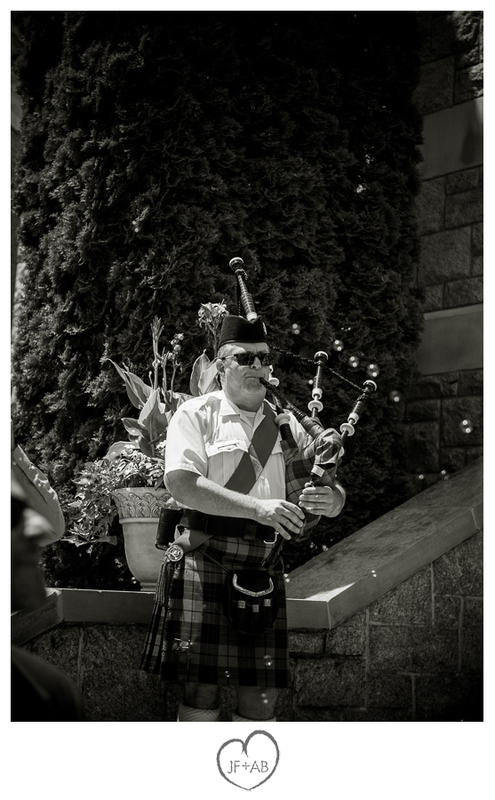 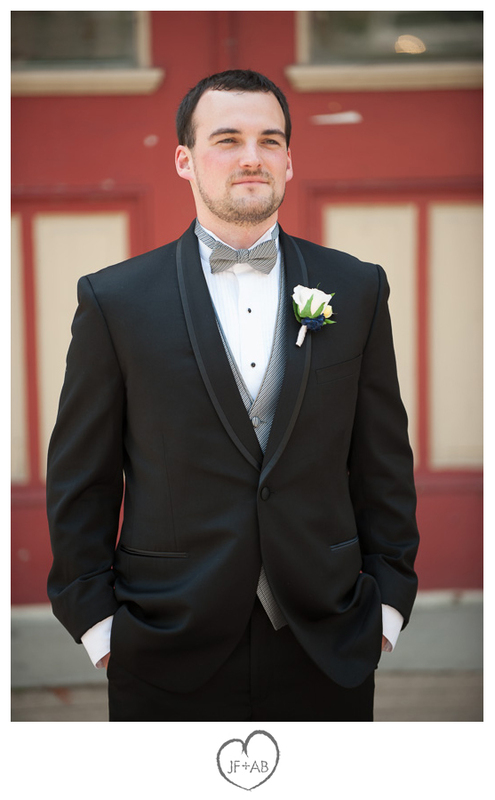 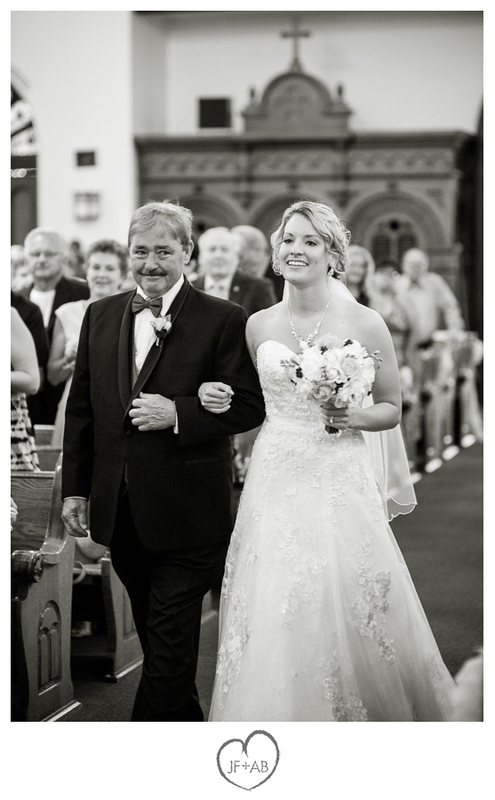 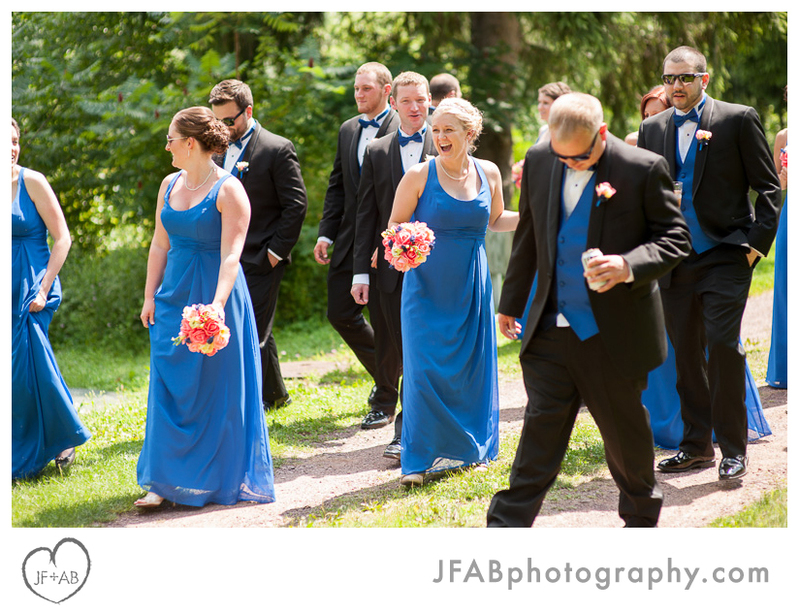 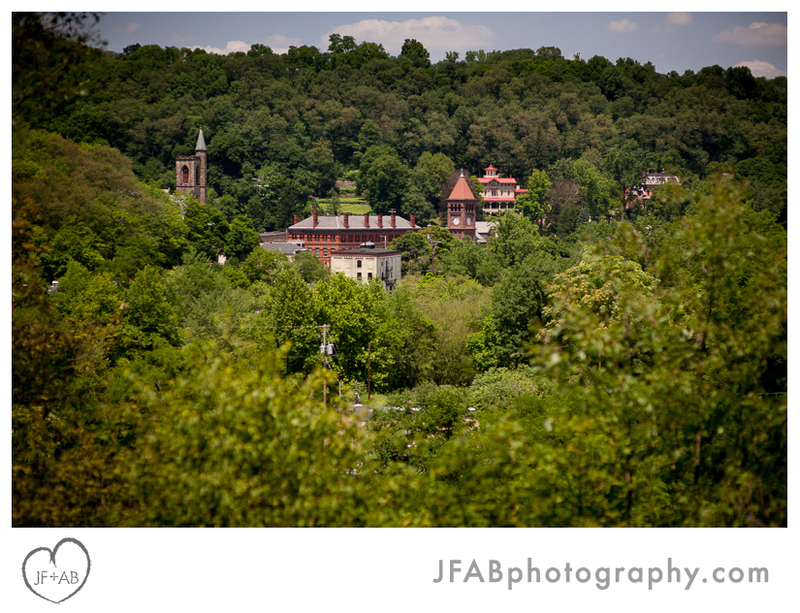 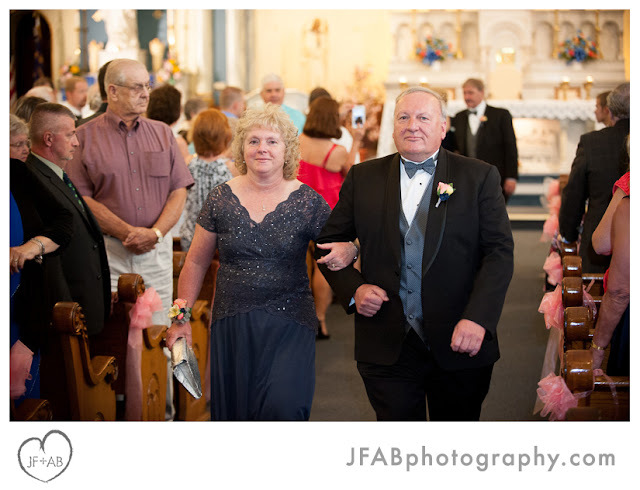 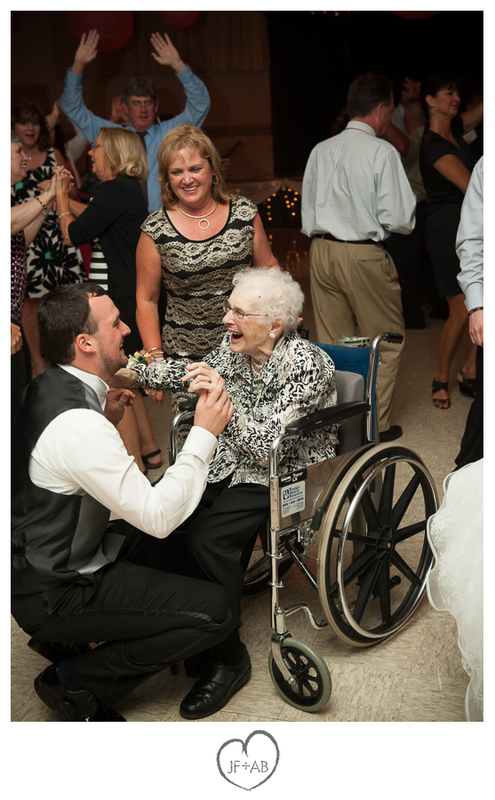 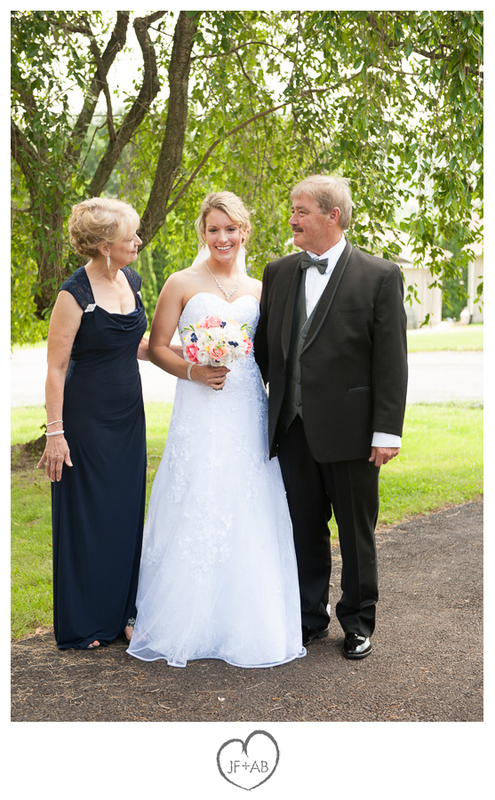 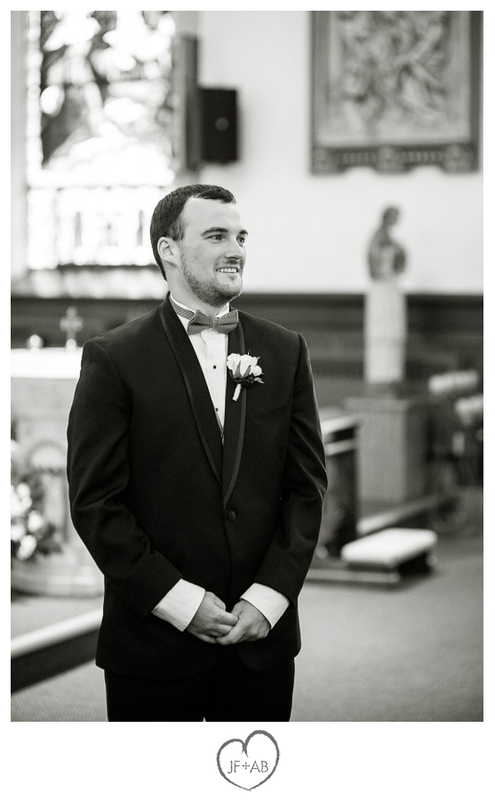 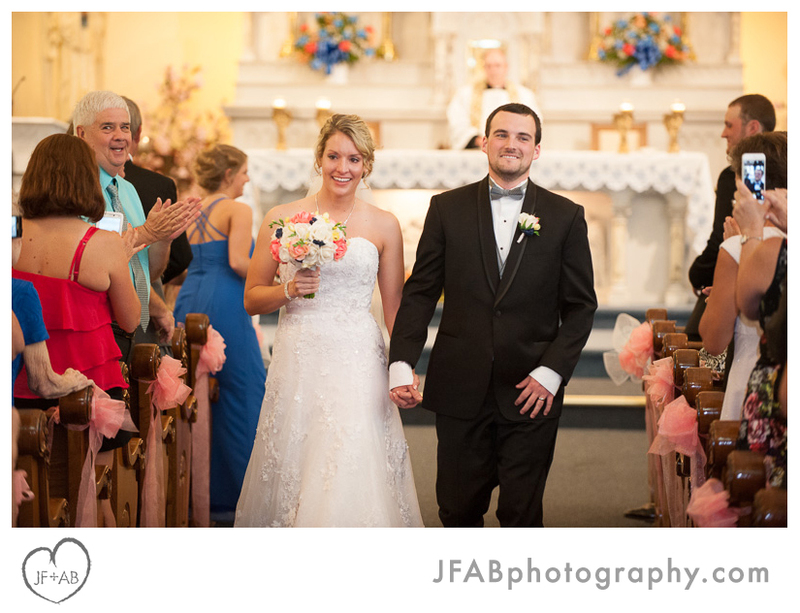 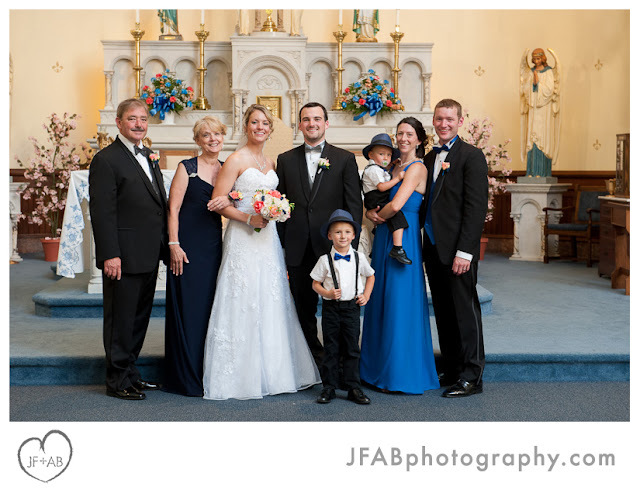 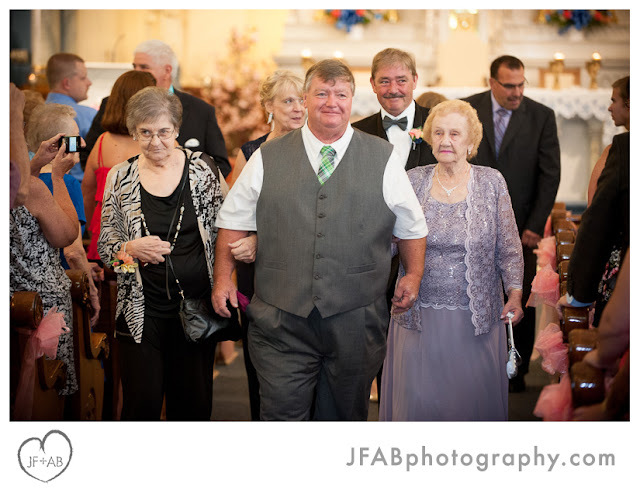 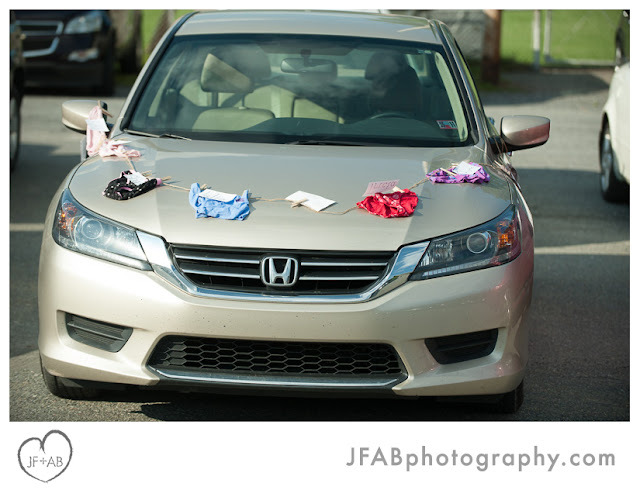 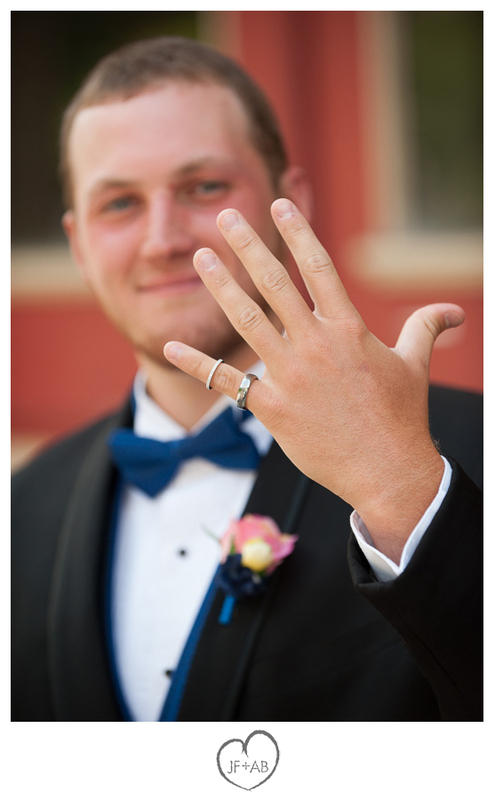 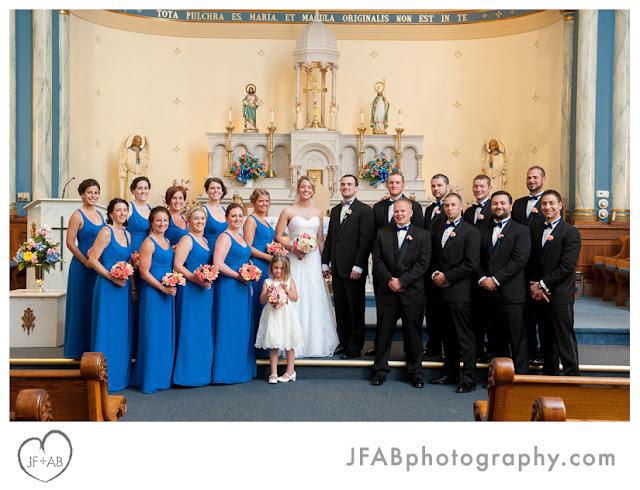 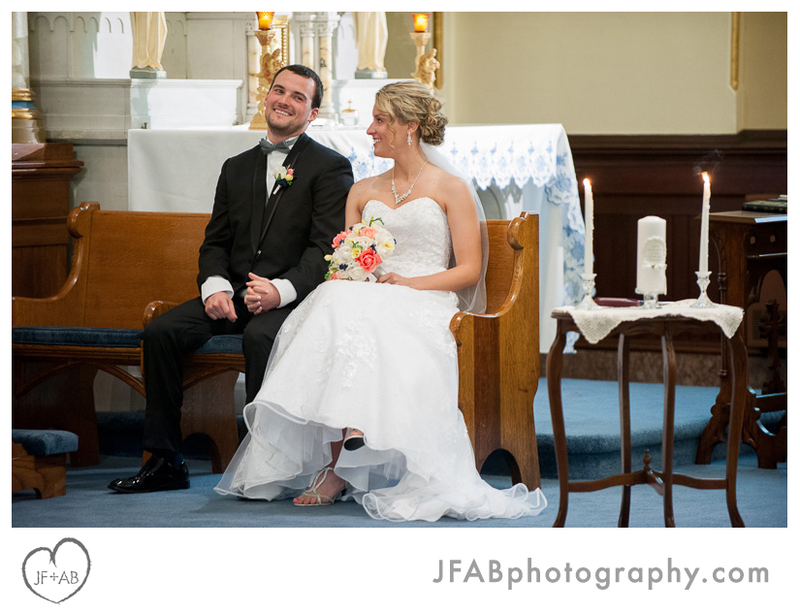 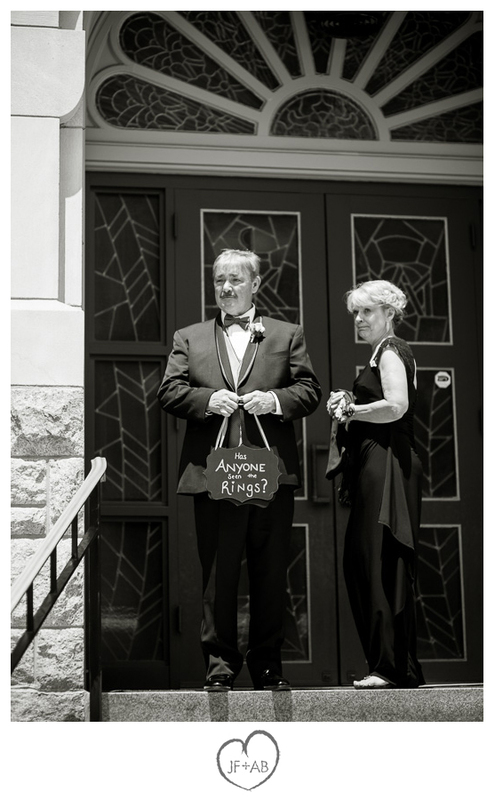 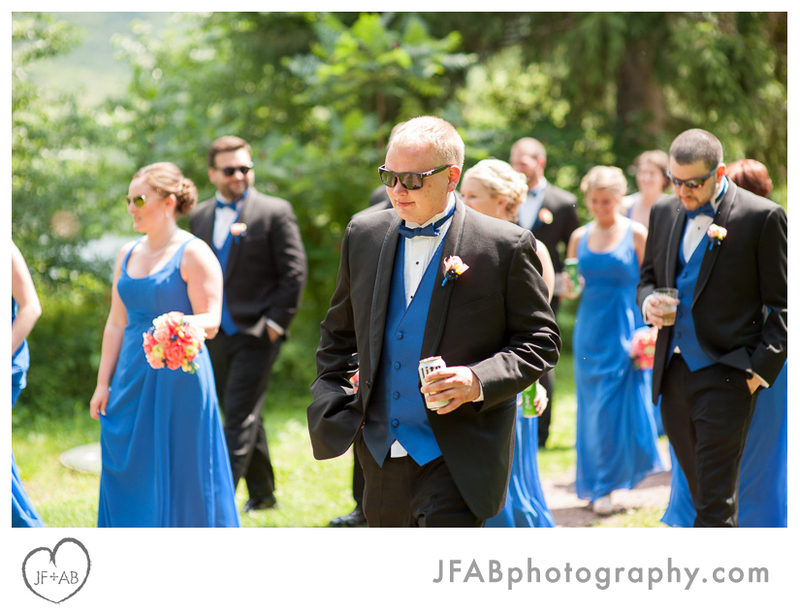 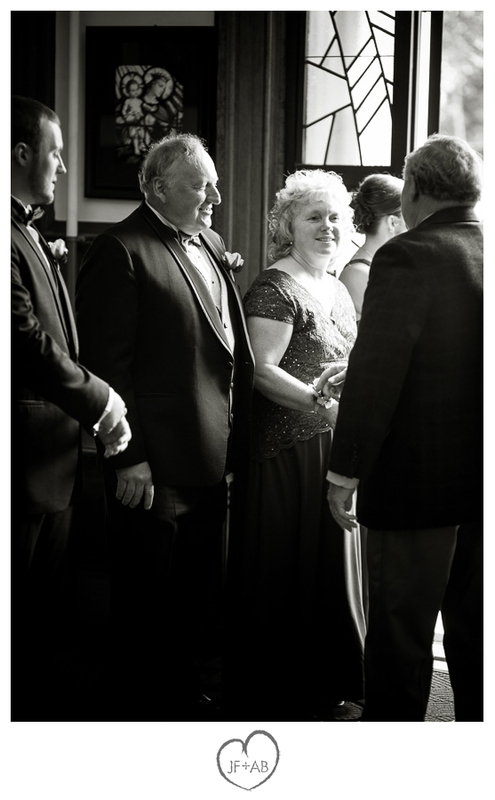 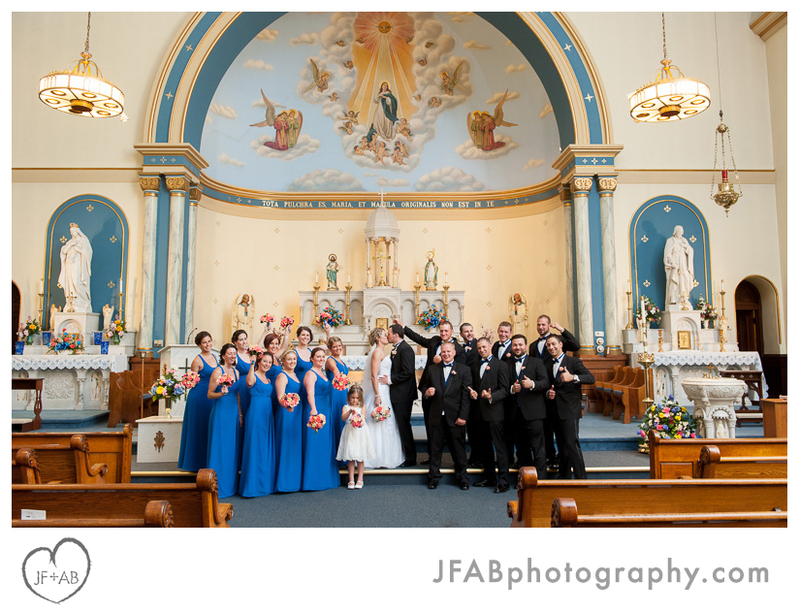 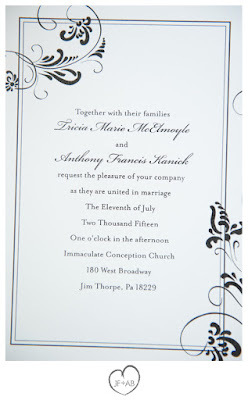 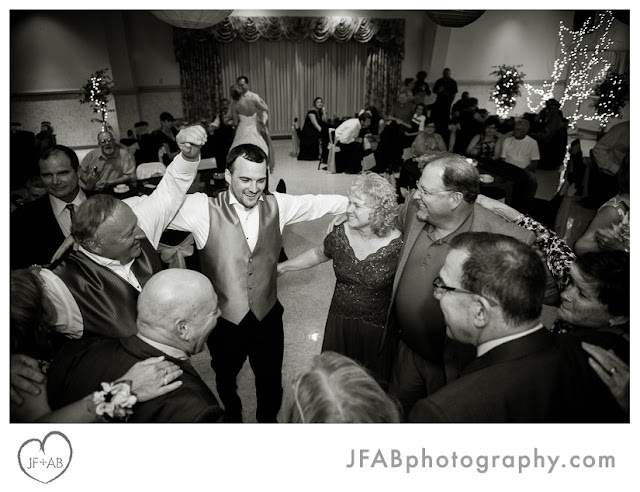 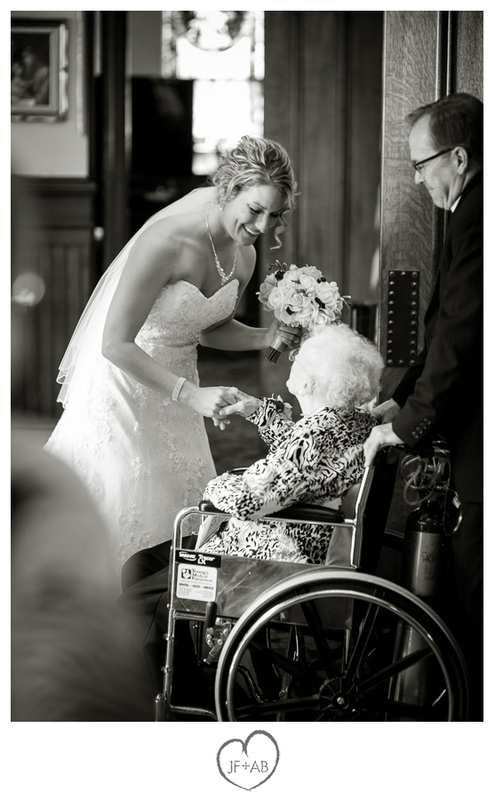 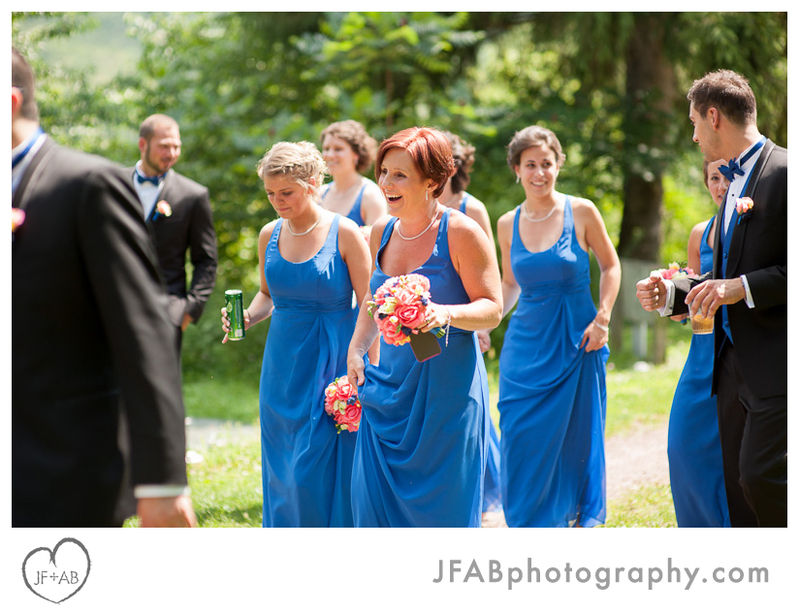 Credits: Wedding at Immaculate Conception Catholic Church, Jim Thorpe, PA. 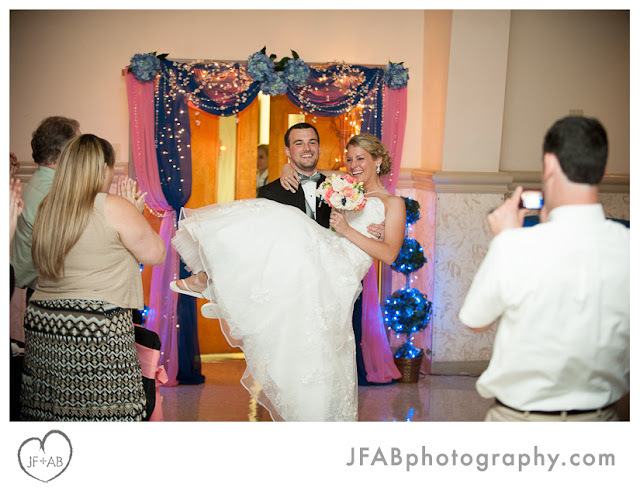 Reception at Memorial Hall. 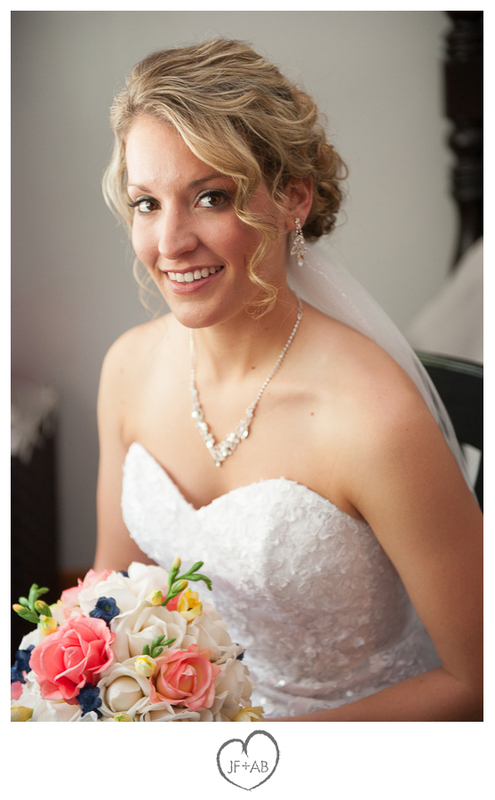 Hair and makeup by Corynn Wehr- Rumors Salon Lehighton. 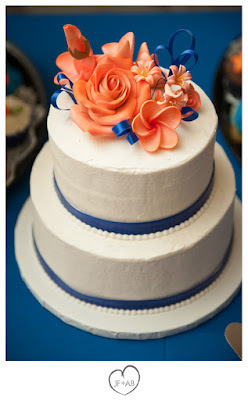 Wedding cake by Pamkakes. 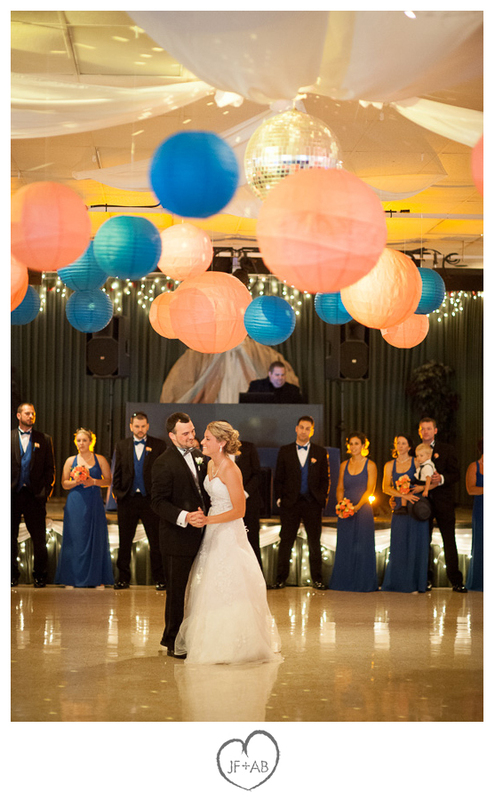 Ceremony music by Penn Strings. 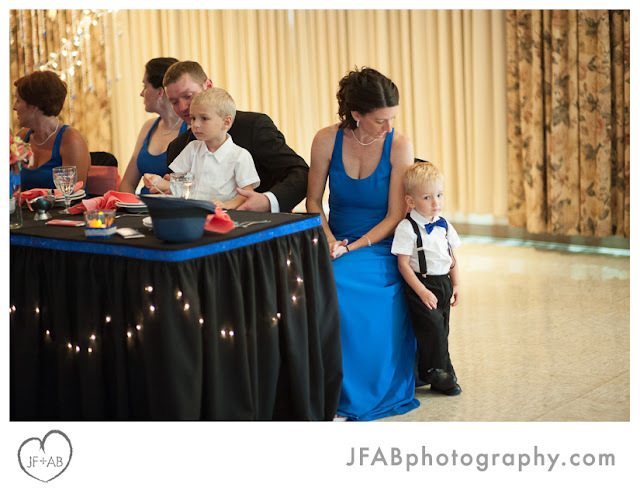 Reception entertainment provided by Skuba Entertainment.